'Pepper Street/Lower Street Junction Early 1970s' has attracted a lot of interest since it was first published in 2012. We thought it might be worthwhile trying to illustrate how the old, longer, Pepper Street used to look and how it gave people coming from Webbs Lane access to the town centre. 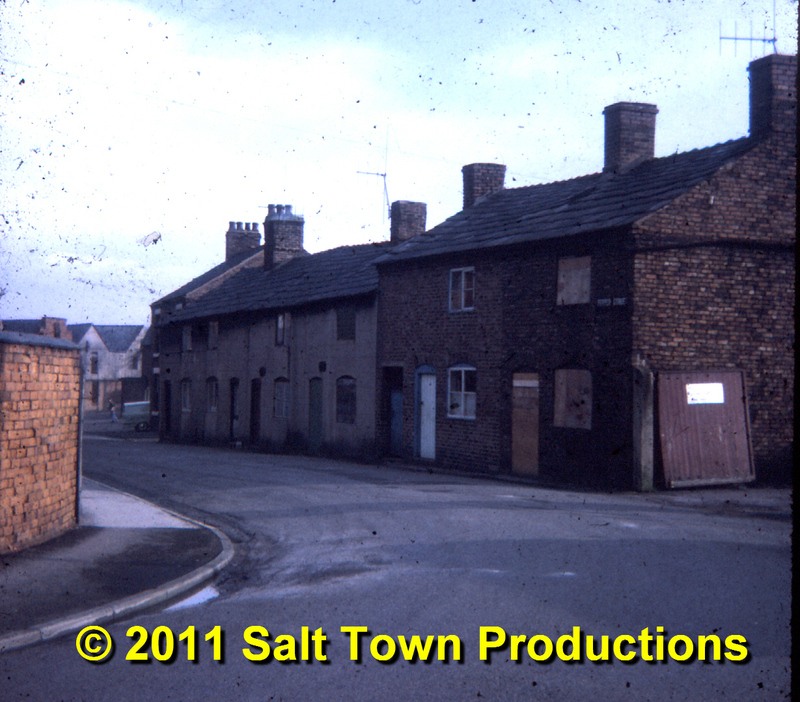 This photo is as good a place to start as any, particularly as it shows the houses which now constitute practically all of modern-day Pepper Street. 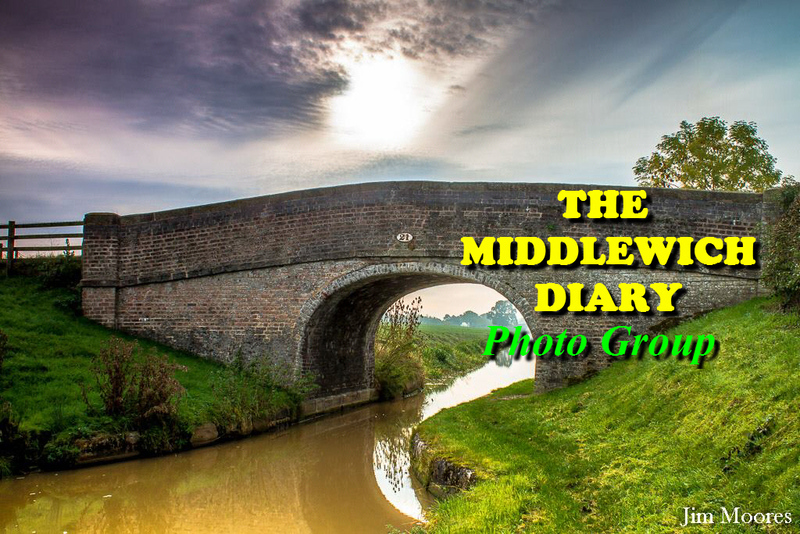 Here's the original description of the photo as it first appeared on the Middlewich Diary. Well, we think the space to the right of our main picture, where the Reliant car is parked, must be the space in question. 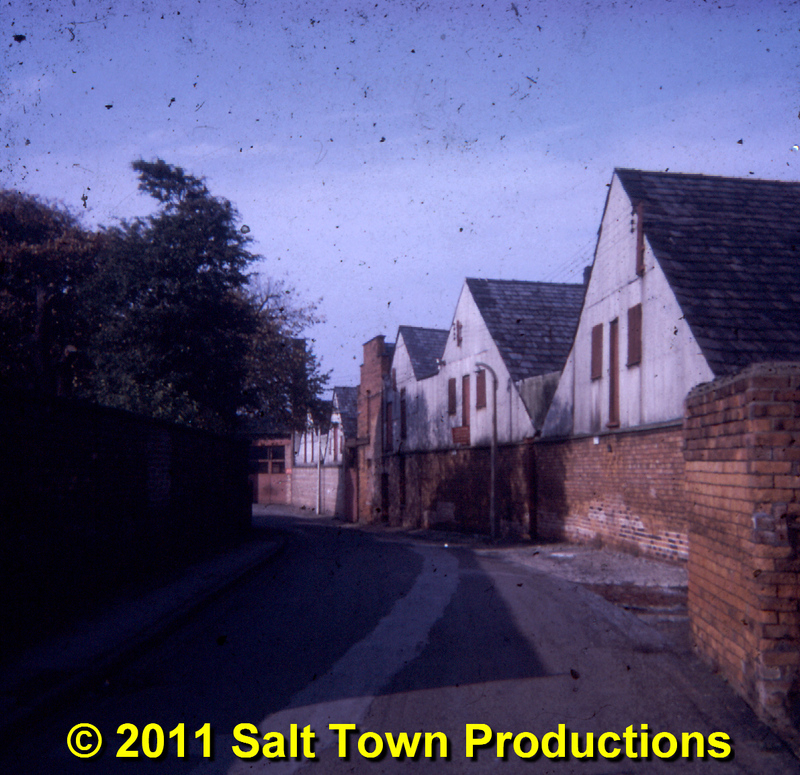 This picture, taken in 1969 with our trusty Instamatic camera, is fascinating as it provides a link between the Pepper Street of those days,at the very end of the open pan salt works era and the Pepper Street of today. The building to the right with the single chimney is interesting. 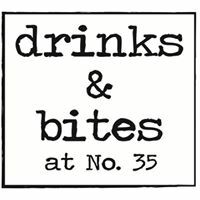 Previous MD feedback seemed to suggest that it was once The Lord Hood public house, but this is not the case. 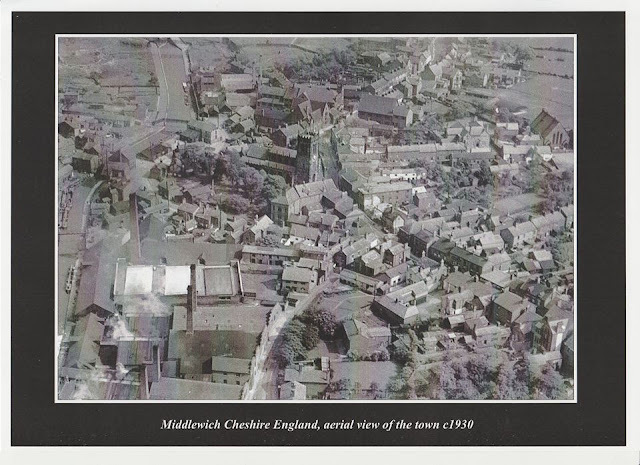 Ken Kingston's Middlewich Hospitality (Middlewich U3A Local History group 2014) tells us that the pub, built in 1782, was closed and demolished in 1920, and replaced by a workshop and timber shed in 1929. These premises were themselves demolished just after World War II, so it appears that the waste ground itself was the site of the pub and its later replacement. What the building with the central chimney was remains a mystery. Today's street is, as we've said, more or less just that short terrace on the extreme left. What used to be the roadway is now a slip road connecting Webbs Lane to St Michael's Way opposite the Vaults. The large building at the end of the Terrace is Seddon's Salt Works offices. 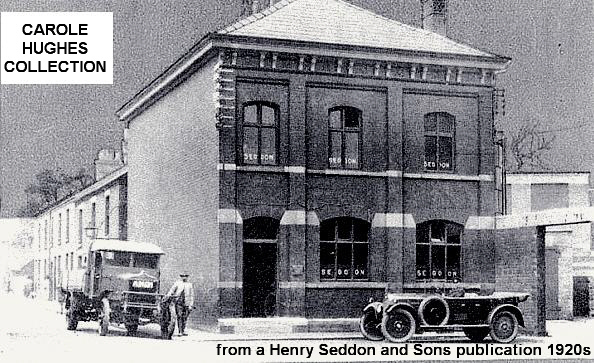 Seddon's offices in Pepper Street in the 1920s. The still extant terraced houses can be seen behind the building. Beyond that is the salt works itself, by this time closed and awaiting demolition. 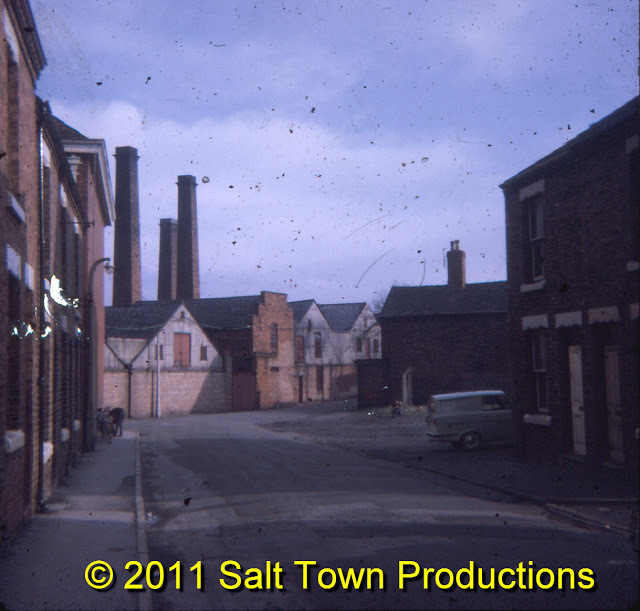 To get to the town centre you walked towards the salt works, and then took a sharp right turn between the works and the building beyond the Reliant car to wind up in the Bull Ring. Middlewich's automatic telephone exchange, built in 1967 and now much expanded and fronting onto St Michael's Way, was in a small compound, just out of shot to the right. Powell's Clothing Factory, connected with the company's retail premises in Wheelock Street, could also be found in the area, on land now occupied by St Michael's Way. It is this connection with the textile industry which has led to the new housing development next to the telephone exchange being given the rather fanciful name 'Spindle Whorl'. Put simply, a 'spindle whorl' is one of the many tools used by cloth weavers. It's a kind of flat disc with a hole in it. Spindle whorls are made from many diffferent materials and are very collectable. Another development on the site, closer to Wheelock Street, has been given the more prosaic and, some might say, more appropriate name of 'Powell House'. Powell's Tailors itself, once the smartest shop in the town, is now in a semi-derelict state after Eric Alcock electrical moved out a few years ago. 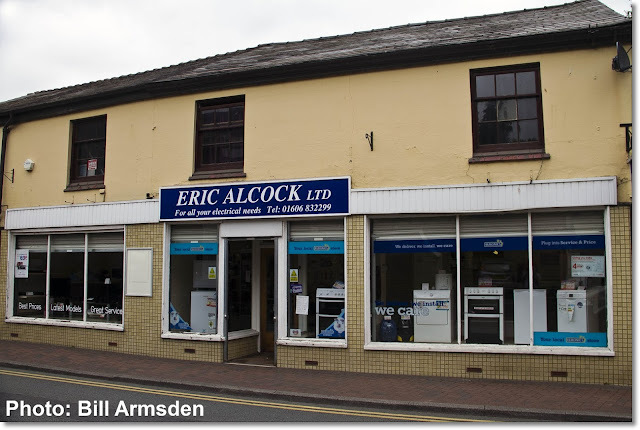 Eric Alcock Ltd, pictured in 2012. The electrical goods firm's tenure of the former impeccably smart Powell's Tailor's premises did its appearance no favours at all, and now (2018) the shop is in a semi-derelict state and looks even worse. To get to the town centre today you have to take more or less the same route, but you'll be walking towards the entrance to 'The Moorings' rather than the salt works and, once you make the right turn, you have St Michael's Way, with heavy traffic heading to and from the M6, to contend with before you can reach the Bull Ring. Another excellent shot from the camera of Jack Stanier and a companion shot to the one shown here. It's 1970 (as evidenced by the 'Back Home' World Cup poster in Vernon Coopers window). To the right of Vernon Coopers is Stanways fish shop with its lettering removed but the name just about still visible. Adjoining this we can get a better view of an establishment we've mentioned a few times before - Harold Woodbine Ltd in its original Lower Street premises. It's obvious from the configuration of this shop that it was once separate premises; probably two or three small cottages. 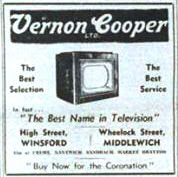 Note that while Vernon Cooper promotes the virtues of Ferguson and Ekco sound and vision, Harold Woodbine favours Philips. for me to say that I thought this early 'waxing' was great, but I didn't. Moving to the extreme right of the picture we can see the very edge of the Town Hall complex of buildings and, to the left of that, the JayGee Fireplace building which is now Town Bridge Estate Agents. Left of this is the North-Western Gas Board showroom and, to the left of that, the first signs of demolition along the row as the showroom manager's house is reduced to rubble. To take this picture Jack stood outside what is now Pineland*. If we were to take a picture from this viewpoint today we'd see mostly dual carriageway with the Bullring bus interchange to the right of it. (see 'Now & Then: The Bullring . Link below). There are a few interesting little details about Vernon Coopers shop which will replay a bit of clicking and double clicking: First of all, above the 'Ltd' on the left hand side is a small sign directing people down Pepper Street to The Vaults and its car park. Secondly, what might appear at first to be a satellite dish on the left hand wall is, in fact, a STOP sign for the Pepper Street/Lower Street junction, placed at this height to make it visible from further down Pepper Street. And if you look to the left hand side of the building's tall chimney, there is a fine array of vintage VHF TV aerials. The giant X is for band one, BBC 1 on channel 2 and the other, classic 'ITV' aerial is for band three, Granada Television on channel 9. Incidentally, if you should happen to have a surviving ITV aerial on your roof, you could use it for receiving DAB radio, as the aerials are exactly the same. 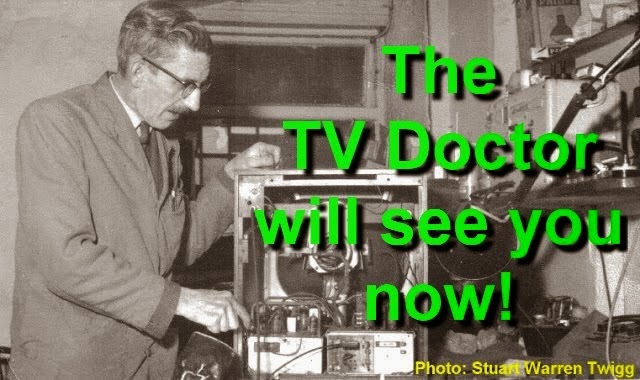 Somewhere, by this time, there must also have been one or more modern aerials for 625 lines UHF (with colour on all three channels). 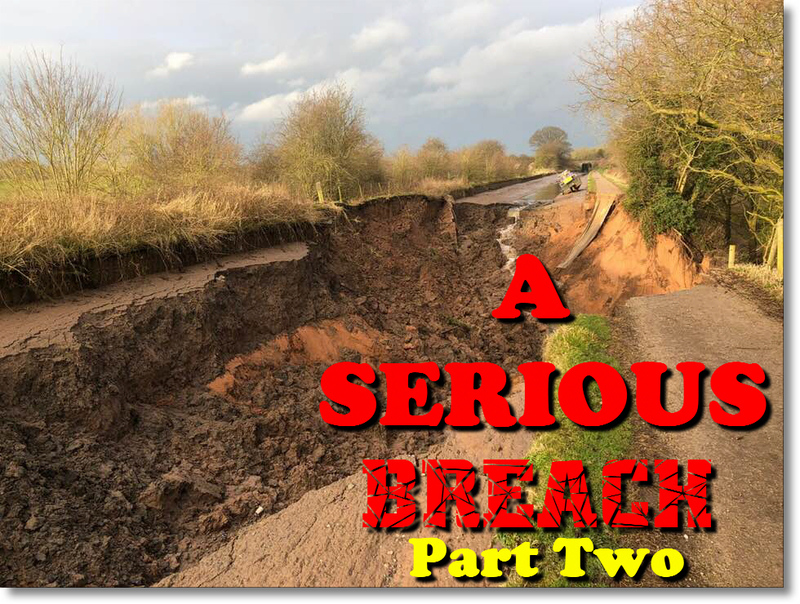 Ian Hill-Smith What's the road leading out of the right of the pic, Dave? Dave Roberts Hi Ian. The road in the right foreground is Hightown which is still more or less in the same position, although the traffic flow now runs in the other direction - i.e. towards Lewin Street, The road leading off into the distance (and the Town Bridge) is now the bus lay-by and part of St Michael's Way. 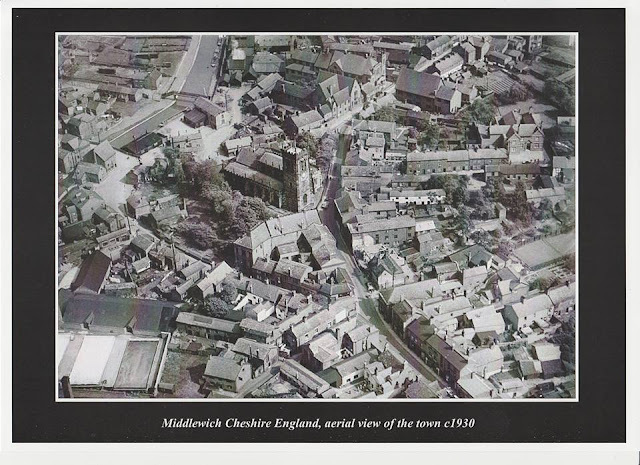 We're grateful to Dave Griffiths who contacted us in September this year with the news that a set of four aerial views of 'Middlewich in the 1930s' was being offered for sale on Ebay. Dave couldn't resist the temptation, and bought all four photos. 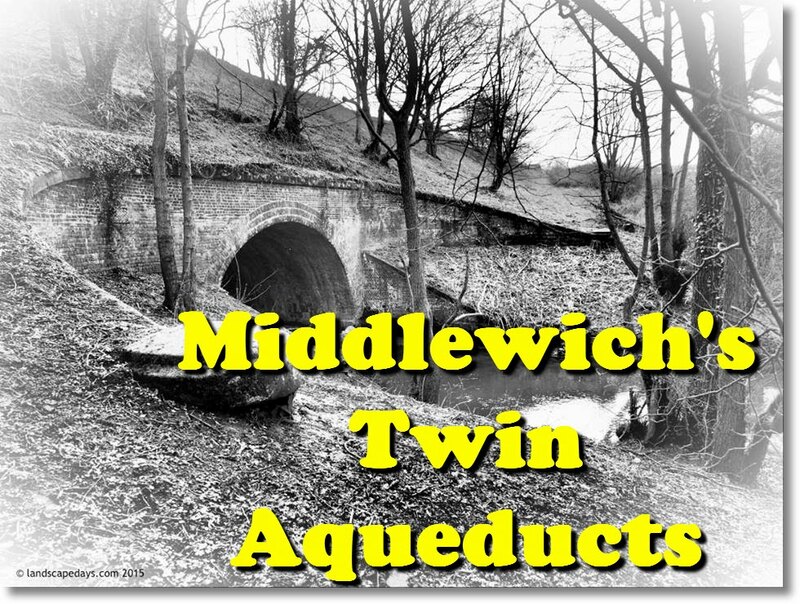 He's kindly sent us copies of them so that we can show them to a wider audience and give people just a taste of how Middlewich looked no less than eighty-eight years ago (or more). We've already encountered a couple of these photos over the years, but never before in such high quality. English Heritage's Britain From Above website*, which features aerial photos of towns and villages all over the country, carries copies of at least two of them and, a few years ago appealed for people to contact them with information as to what they showed. 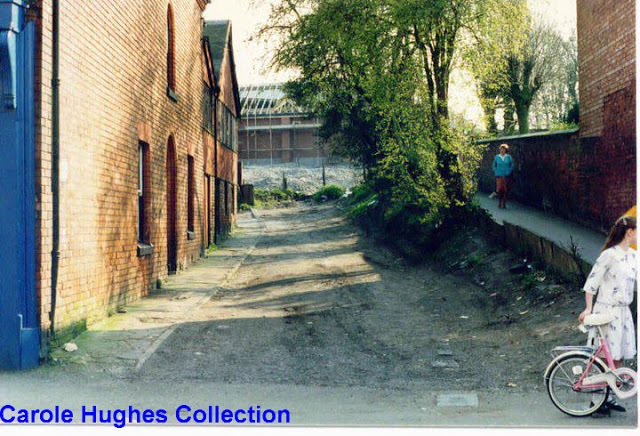 Which is what the Middlewich Diary did in respect of the Webb's Lane/Finney's Lane view (see below). You'll note that these views are all labelled 'c1930' and this is an approximation which we'll gladly go along with for a couple of these photos. But for two of the photos we think the date may be earlier than that, for reasons we'll explain as we go along. And so to the first photo (above). Nearly ninety years on (or perhaps even more), but still recognisable as the Middlewich we know today. Our reference point, as always, is the Parish Church of St Michael & All Angels. We sometimes hear complaints - and tend to agree with them - about the number of trees in the churchyard today, tending to obscure the building itself from some viewpoints. This old photograph shows us that this is nothing new. It should be remembered that at the time of the photograph the churchyard had been disused as a graveyard for many years, the last burials taking place in the 19th century. So the grounds of the church were, apparently, being left to their own devices at this time. The triangular cluster of buildings in front of the church, comprising the old town hall and various shops, was swept away in the early 1970s to make way for first the much-hated 'Piazza' and more recently, in 2005, the 'Amphitheatre'. The other main change, of course, is the loss of the old Town Bridge and its replacement by a much wider and larger concrete bridge, followed forty years later by the re-alignment of Kinderton Street and the building of St Michael's Way, cutting a huge swathe through the property on the left hand side of the picture. But most people, of course, will want to know how this photo relates to what can be seen today, and this is probably best achieved by use of a numbered key. * Unfortunately, at the time of writing, the Britain From Above website seems to be inaccessible. 1: The old town bridge. A traditional 'hump-backed' canal bridge dating back to the building of the Trent & Mersey Canal in the 1770s. Several buildings clustered around the old bridge including the Navigation Inn. The bridge was demolished in 1931 to make way for the present bridge. in the middle of the photo. 2: Seabank. A road which ran (and still runs) from Kinderton Street down to the banks of the River Croco and the T&M Canal. The footbridge seen here follows the original route from Kinderton into Middlewich (before the coming of the canal there was a ford across the River Croco at this point). In medieval times, salt houses belonging to the Barons of Kinderton were clustered around this area. 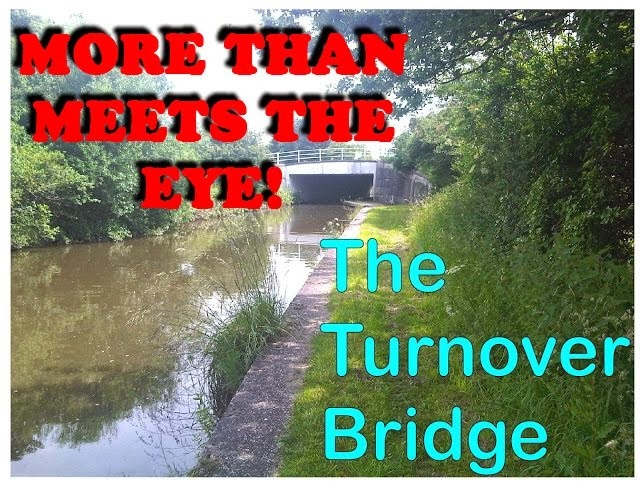 The remains of the footbridge, which disappeared when the new town bridge was built, can still be seen in the form of blue-brick abutments on both sides of the canal. The building just below the footbridge is a canal warehouse, part of the Middlewich Town Wharf group of buildings. The only other surviving building now is the Wharfinger's Cottage below the warehouse and slightly to the left. 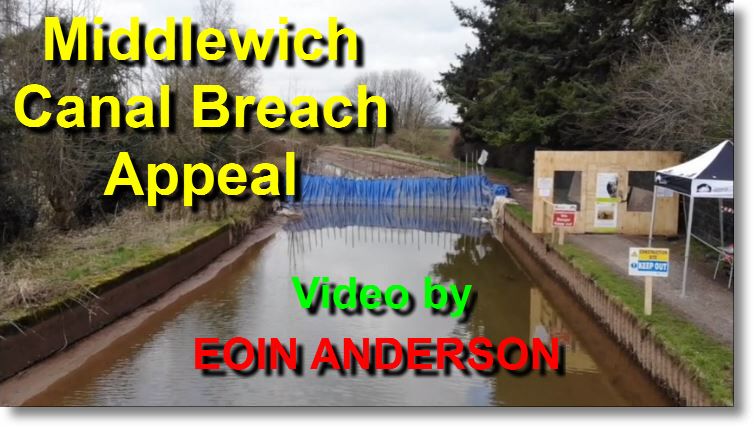 The people of Middlewich would dearly love this area to be developed and turned into an attraction for the many boaters and other visitors to the town each year. There have been suggestions that the buildings could be used as restaurants, museums, laundry facilities for boaters and so much more. Unfortunately the whole idea of developing the area as the 'Gateway To Middlewich' seems to be blocked by whoever it is who now owns the land. No progress has been made in bringing the idea to fruition and the buildings are steadily getting more dilapidated with each passing year. 3: The huge buildings fronting onto Lewin Street shared this site, between the road and the canal, with Seddon's Wych House Lane Salt Works and its associated wagon repair shop. The main buildings were the Church of England Infants' School and the Wesleyan Methodist Chapel. Everything on the site was swept away during the 1970s and 1980s and the site is now occupied by the Salinae Centre and its grounds. 4: Across the road was another large building, and one we haven't yet covered in the Middlewich Diary, due to a lack of information. 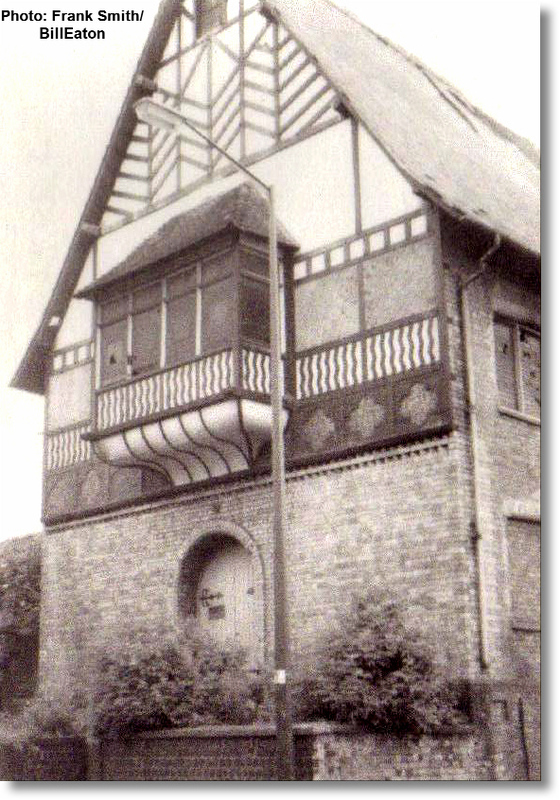 The Congregational Centenary Sunday School (below) shared this site with the Conservative Club and Heathcote's Cafe. There was a chronic shortage of space in Middlewich's schools after the First World War and the Sunday School was used as an 'overflow' for the CofE School across the road. 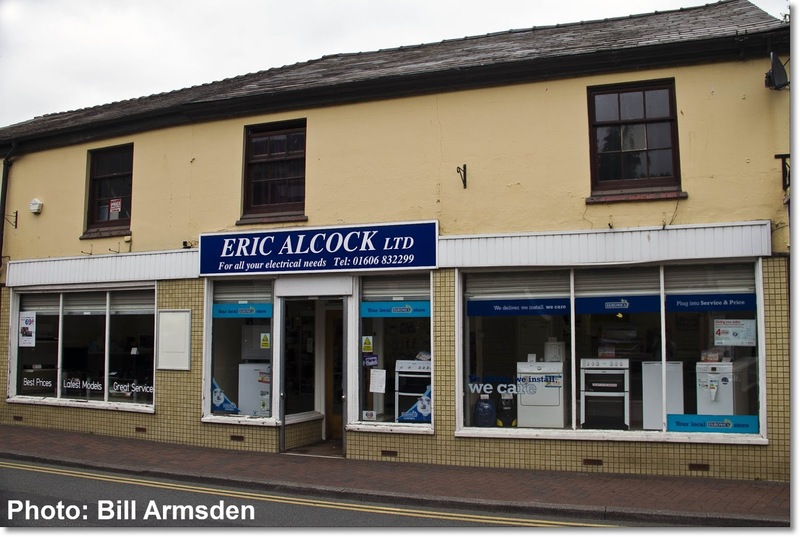 In the late sixties this building was used as the local valuation office. 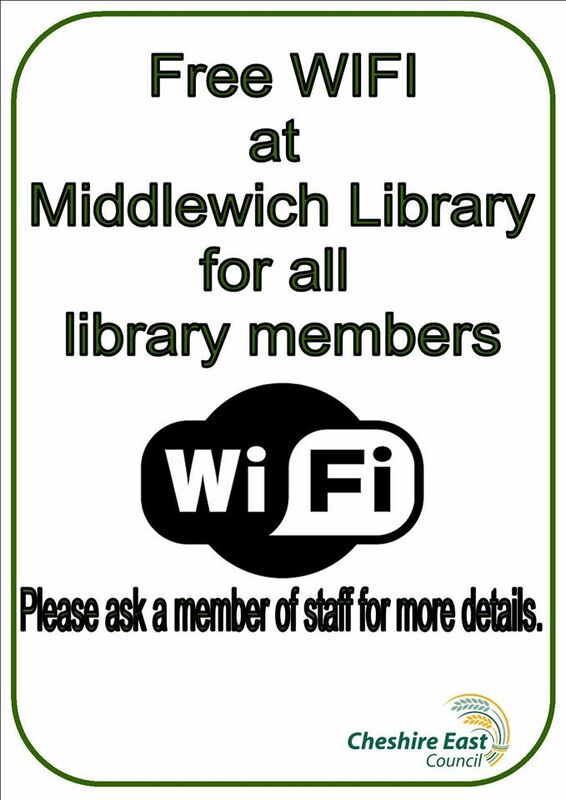 Middlewich Library now occupies the site. 5: Lower Street and Hightown. Now occupied by the 'amphitheatre', with the war memorial on a strip of land between the amphitheatre and the churchyard. The original site for the memorial, erected in 1934, was at the apex of the triangle formed by these buildings, replacing a shop which did service both as a butcher and as a branch of the National Provincial Bank. Oddly, though, the bank preceded the butcher's shop. For some reason, I'd always assumed that it was the other way round. The whole area is also known as 'the Bull Ring'. The angled building at the rear of the site is the old Victorian town hall. When the new town bridge replaced the old in 1931, Lower Street was widened by slicing off a section of the old churchyard. The part of the town hall fronting onto Lower Street was also removed to enable this work. A section of what was Lower Street survives in the form of the lay-by used by buses and taxis in front of the 'amphitheatre'. 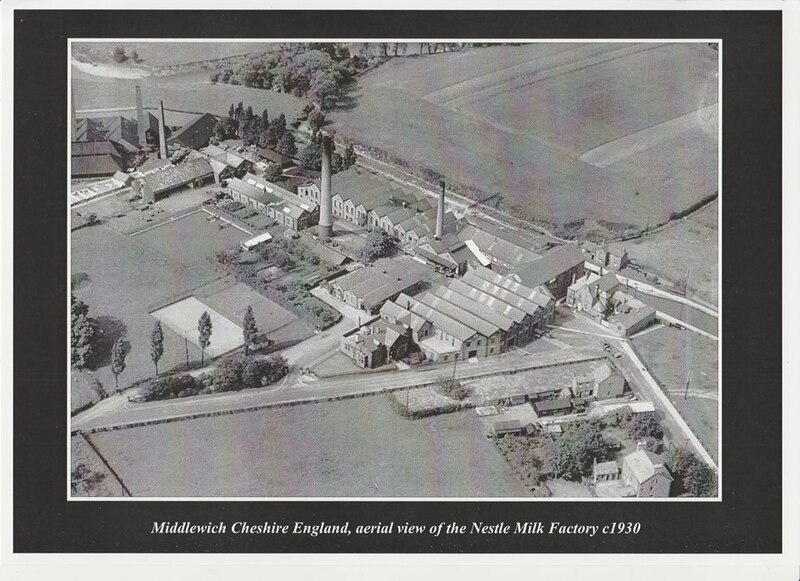 6: This is where we tentatively part company with the date of 'c1930' for this photo. According to all the information we can gather, the butcher's shop on Hightown which we immortalised as The Butchered Butcher's Shop and which is now a Chinese takeaway, was built in 1920 (the same year as the Alhambra Cinema, local 'historians' might like to note) but there's no sign of it here. It is, however, possible to see that one of the buildings on Hightown has recently been demolished, and we think it's possible that this is the site of the butcher's shop. If this is correct the shop to the right of the demolition is the site of what was until fairly recently the NatWest Bank (Allan Earl in Middlewich 1900-1950 (Cheshire Country Publishing 1994) mentions that in 1920 '...the construction of the new bank in the Bull Ring was well on the way'). So that would put the date of this photograph a decade earlier at c1920. If you think we're wrong, we'd love to hear from you. 7: Queen Street. The old police station. Like so many old Middlewich buildings this disappeared in the 1970s, to be replaced by a small brick box looking like many other identikit stations around the country. Note the terraced houses stretching from the police station towards Hightown. In the street's days as 'Dog Lane' many more tiny cottages were to be found here. 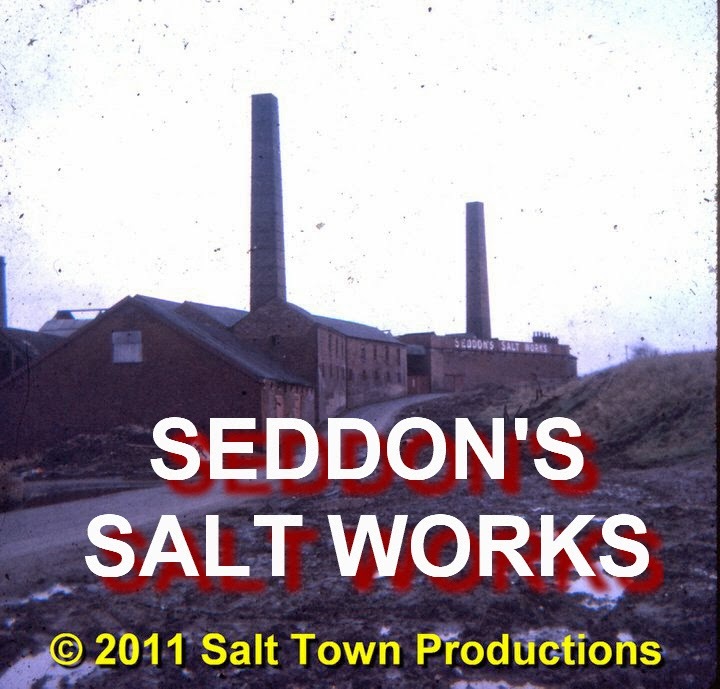 8: The oblong tanks are salt pans and are part of Seddon's Pepper Street salt works. Unlike most such pans, they're out in the open air and they were used for the making of fishery salt, used in the preservation of fish and meat. 9: The site of Cooper's (formerly Kinsey's) shop. Approximately the site of the current Tesco Express store. 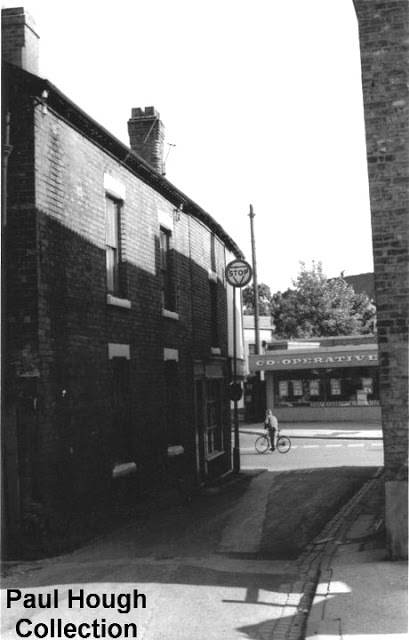 10: Brown's Vaults (now simply 'The Vaults') and Dewhurst's butcher's shop. At the very end of Pepper Street which, at that time, connected Middlewich town centre with Webbs Lane. Until the early 1970s The Vaults was hidden away behind Dewhurst's, which was demolished to make way for the current pub car park. The same view from a slightly different viewpoint. More of Seddon's Pepper Street works can be seen in the left foreground with the Trent & Mersey Canal which served it on the extreme left. Pepper Street can be seen running past the works in the middle foreground. Towards the top left you can see the cluster of buildings around the old town bridge, then the Seabank footbridge. Just above and to the right of the footbridge is Seddon's Wych House Lane works. 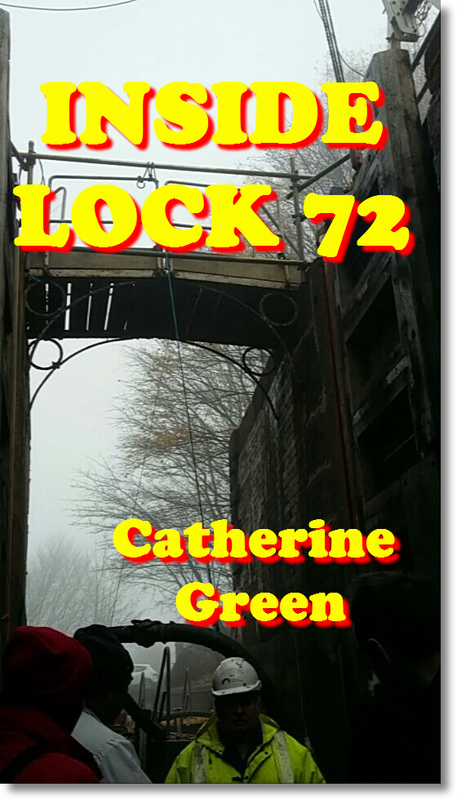 and, right at the top, the bottom lock of the Brooks Lane flight. Top right, Lewin Street continues, to become Booth Lane on its way to Sandbach. Finney's Lane and Webb's Lane. 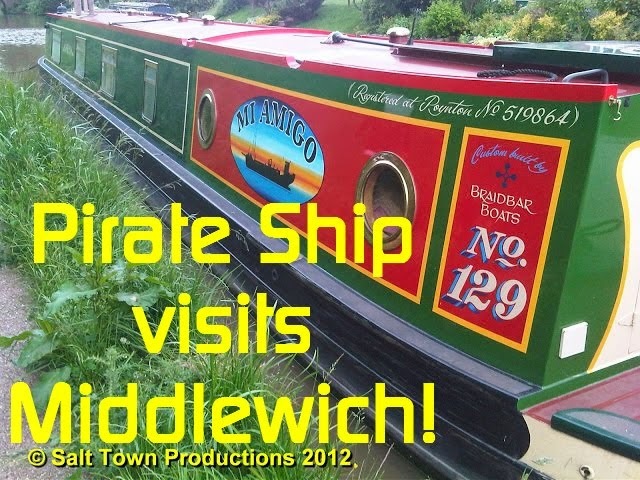 We have already covered this photo in the Middlewich Diary and full details can be found here. 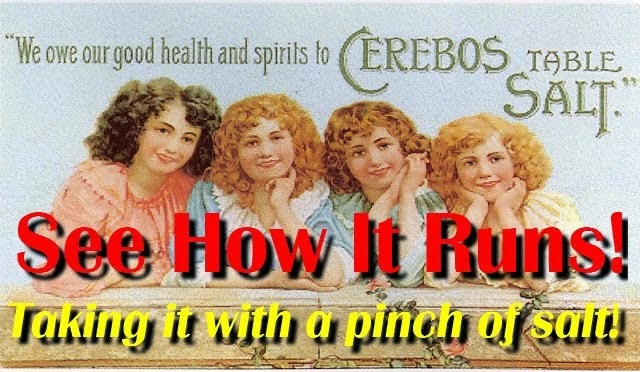 You'll note that when we originally published this we took an educated guess at the photo dating from the 1920s. Could it be that this photo, too, is earlier than we first thought? 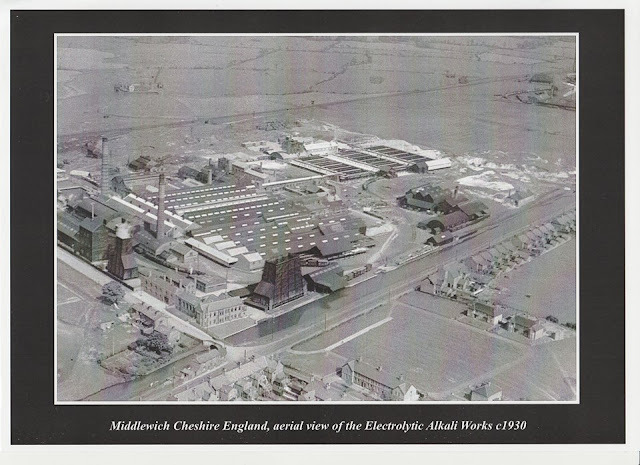 This one is new to us and is very much of interest because it shows the Electrolytic Alkali Works in Booth Lane, the site of which has very controversially been in the news in recent years as the home of Cheshire East's new waste recycling facility. If this photo was indeed taken in 1930 the works must have just closed. This was one of the sites that Edwin Richard Foden looked at in 1933 for the manufacture of the E. R. Foden diesel-engined lorry, better known as the E.R.F. 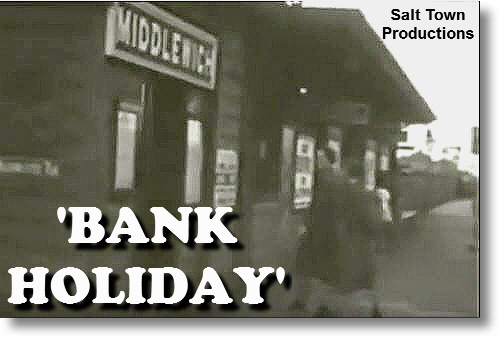 So the Sun Works, Sandbach could very easily have been the Sun Works, Middlewich, had things turned out differently. As it was, of course, the site became a pottery works owned by Steventon's and later Ideal Standard, manufacturing bathroom equipment. A last-ditch effort to keep the factory going as a pottery manufacturer was made by OURS Bathrooms, but the operation closed completely in 2013. The Trent and Mersey Canal runs from bottom left to middle right and the old Cledford Lane canal bridge, replaced in the 1960s by a modern structure, can be seen just below the office block, the remaining portion of which is just about the only part of the original works still in existence. Cross Lane comes in from bottom right and that distinctive double-ended building gives us our present day bearings, but many of the present day housing in Booth Lane, Cross Lane, Cledford Crescent and Hutchin's Close has yet to be. 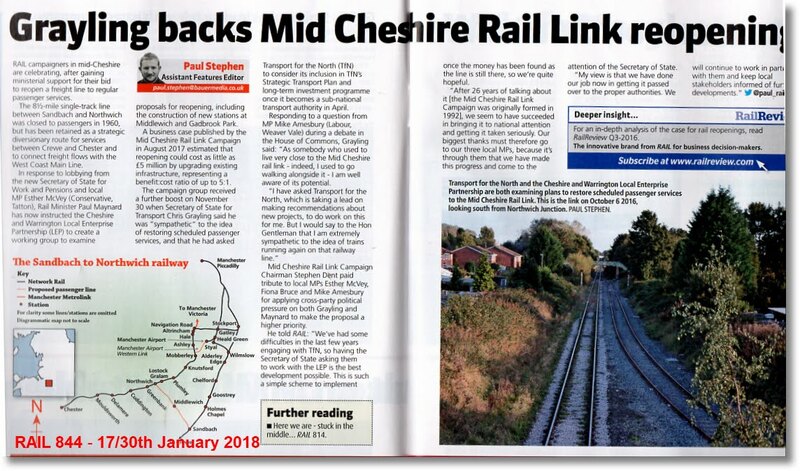 That thin grey line running from left to right in the top part of the photo is the Sandbach-Middlewich-Northwich railway line. This stretch of road has for many years been the site of salt works. 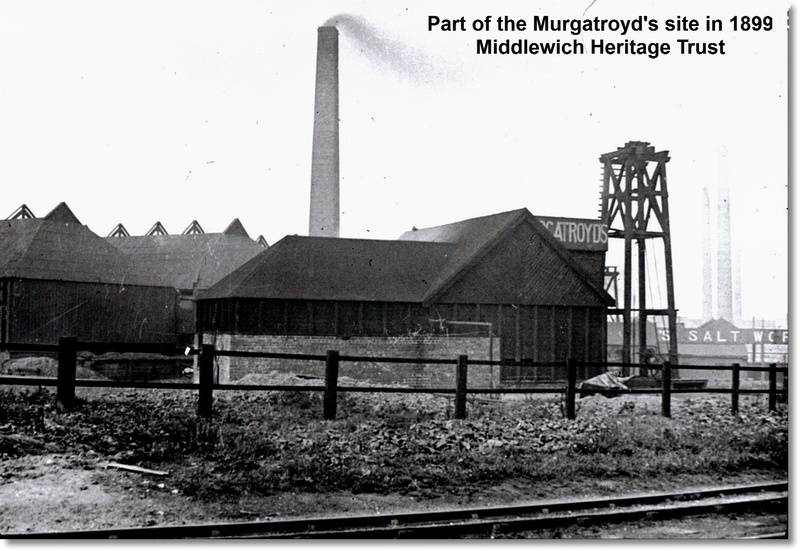 Just out of shot to the right were at various times the works of Verdin Cooke, Bowfields and the Middlewich Salt Company (later absorbed into Cerebos Ltd). The tradition, of course, continues to this day with the British Salt Works, built on part of the Verdin Cooke site, providing much of the country's requirements for salt. Many thanks to Dave Griffiths for sharing these fascinating photographs. As always, we're always open to correction and love to hear alternative theories as to what we might be looking at in this type of photo. Please don't hesitate to get in touch if you think you can help set the record straight! 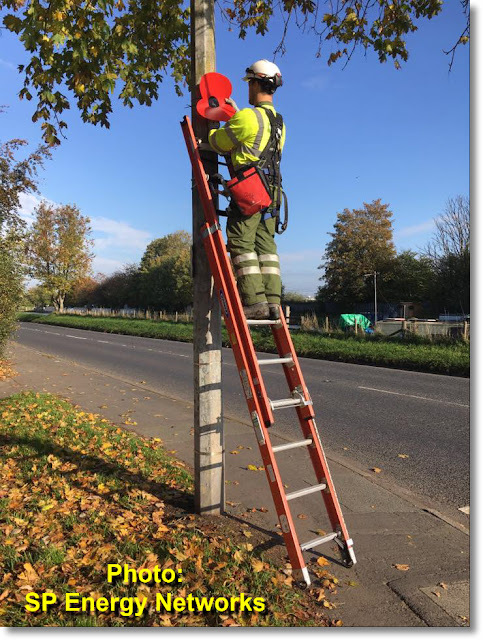 The Middlewich Branch of the Royal British Legion would like to thank all their sponsors both business and personal, for the wonderful display of poppies on lamp-posts throughout the town. Many thanks also to SP Energy for placing the poppies on the lamp-posts. The presence of the poppies impressed both residents and guests at the recent unveiling of the WW1 fourteen extra names on the War Memorial, and helped in enabling Middlewich to show its respect for members of the armed forces, past and present. Thank you all for helping the town to commemorate Remembrance in this way. Labels: MIDDLEWICH ROYAL BRITISH LEGION CLUB, POPPIES ON LAMP-POSTS 2018, REMEMBRANCE 2018. 2018. Cheshire people don't waste words. They'll disregard unimportant ones whenever possible and tell you they're 'going pub', 'going shop', 'going work'. They don't even bother, as Yorkshire people do, to shorten the word 'the' to a token 't'. 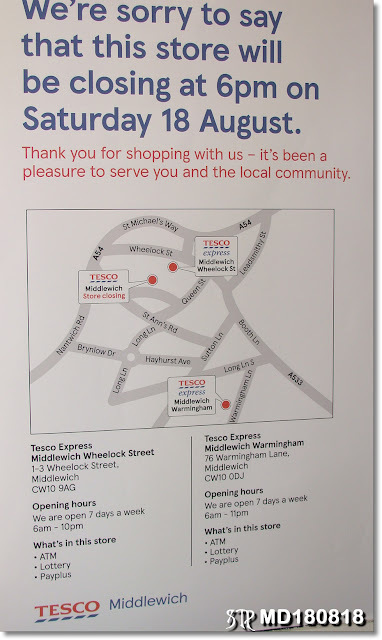 So it's hardly surprising that what others might call something like 'the main Tesco Middlewich store', or the 'Tesco Superstore' was referred to by townspeople, in recent years at least, simply as 'Big Tesco'. 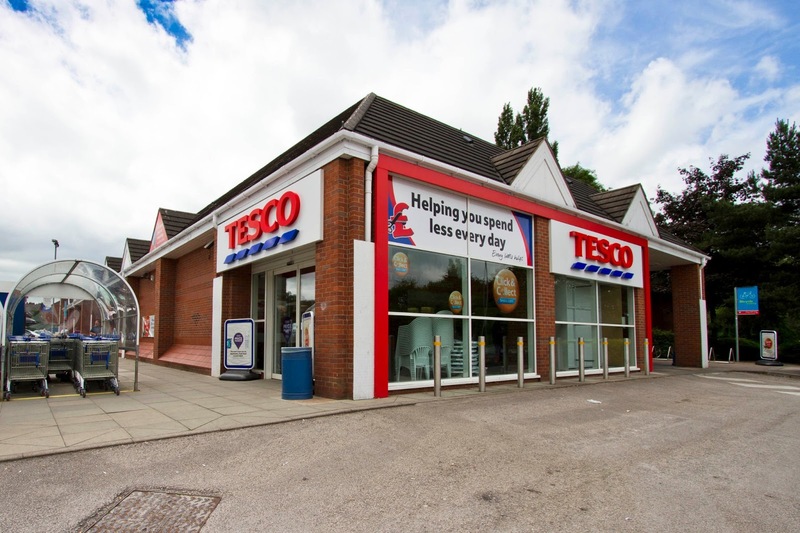 The name 'Big Tesco' came into use when the company took over the smaller convenience stores in Middlewich town centre and Warmingham Lane. 'Big Tesco' was only in existence for around nine years, but it left its mark and in that short time became something of a Middlewich institution. 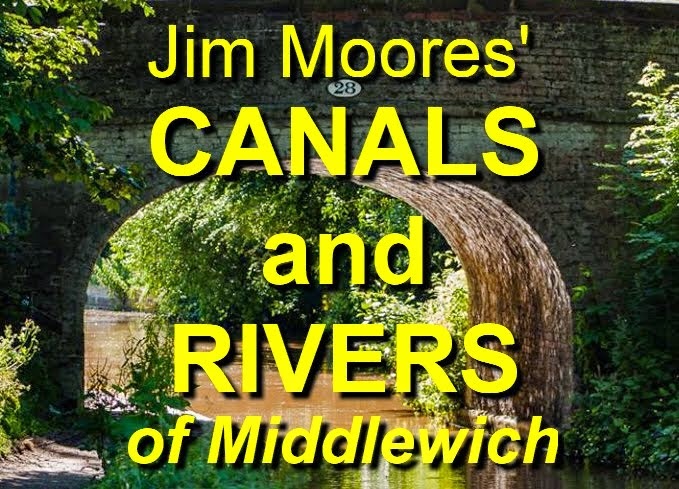 As long ago as the 1960s plans had been mooted to build a supermarket in Middlewich; something which surrounding towns were also enthusiastically considering. 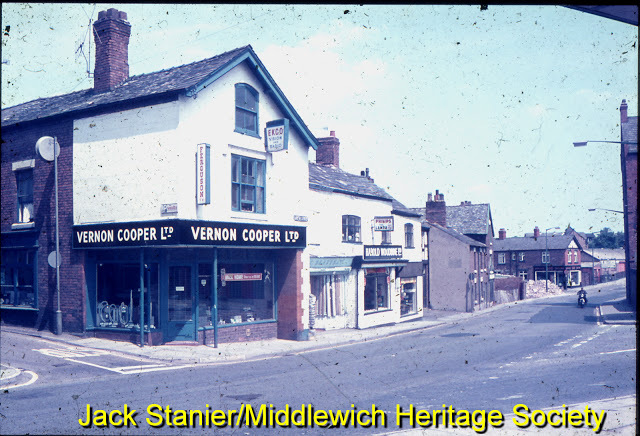 It was the Co-op which first came up with the idea for a Middlewich 'superstore' but the Middlewich Urban District Council - which was at that time almost indistinguishable from the Middlewich Chamber of Trade - resisted, in order to 'protect existing businesses'. In the early 1970s the Co-op built their 'superstore' in the Bull Ring. A relatively small part of this huge building is still in use as a Tesco Express convenience store, but most of it is empty. The huge space at the rear of the premises was last used as workshops and storage space for Pineland Ltd, who also occupied the former Co-op Chemist's department to the right of the convenience store under the benevolent stewardship of 'Pineland George'. 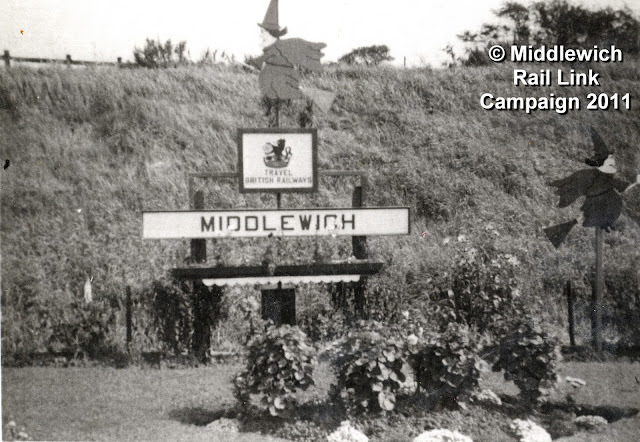 So it wasn't until 1987 that Middlewich's first real supermarket was built by Gateway. Southway in 1987. The Gateway Supermarket, later to be Somerfields and then 'Big Tesco' can be seen under construction in the background. You'll notice that there doesn't seem to be an entrance on this side of the supermarket as built. If anyone has photos of the premises in its early Gateway or Somerfield days, we'd love to see them. 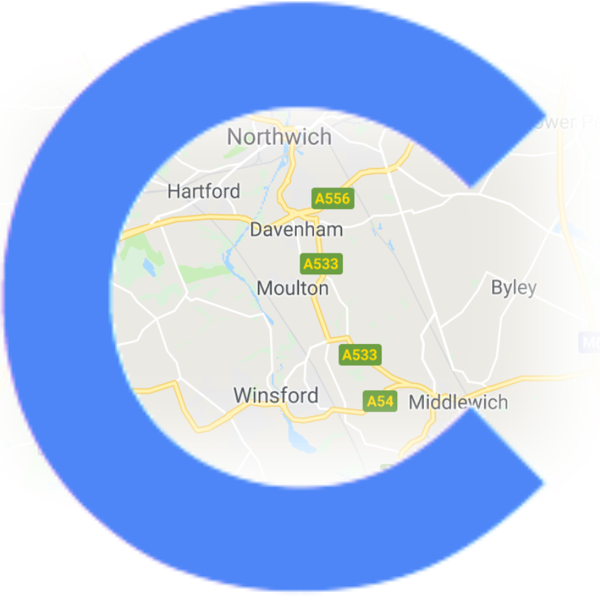 Other sites considered for our first 'real' supermarket were Middlewich Football Club and Chester Road, where the Lidl supermarket is now. The history of Gateway and Somerfield, like the history of all supermarket chains, is complicated and convoluted. The original Gateway could trace its history back to 1875, and its chain of supermarkets began operations in 1960, mainly in the South of England. The company was very ambitious and, over the years, acquired such well-known names as KwikSave and FineFare. 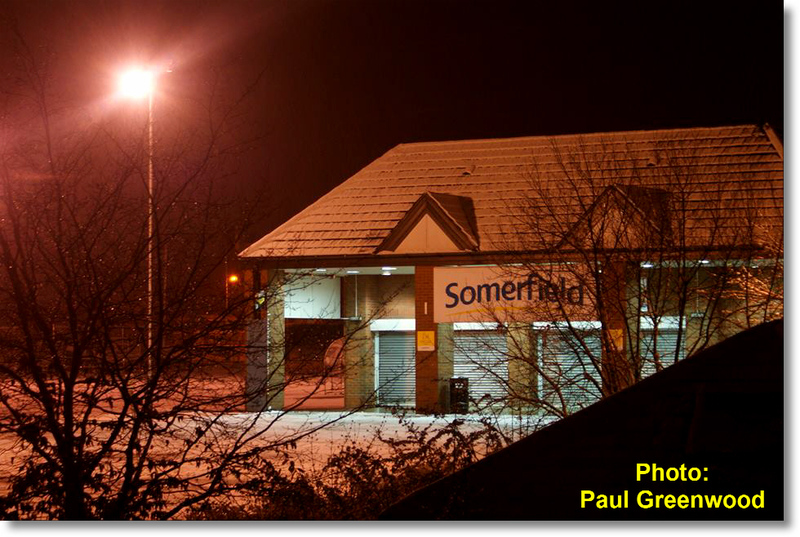 The name was changed to Somerfield in 1998. Gateway Middlewich opened in 1987 as our town's first proper supermarket. We're grateful to Margaret Peterson who tells us that the opening date was either the 17th or 18th August that year. This would mean, rather fittingly, that the store was open under Gateway/Somerfield and Tesco for thirty-one years to the day. In 1994 Gateway announced that all its stores would be re-branded as 'Somerfield', a name which originated as a Gateway 'own brand' label. The connection between Gateway and Somerfield can be clearly seen in this logo. The familiar Somerfield brand as seen in Middlewich. Gateway Middlewich became Somerfield Middlewich in 1998. 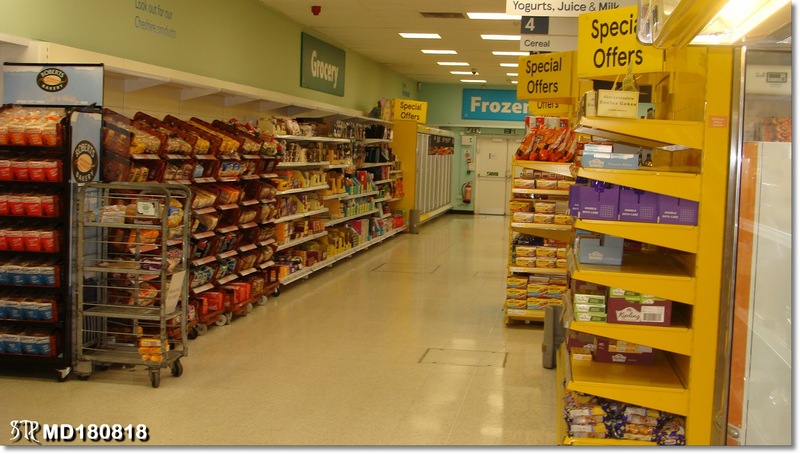 In 2006 Somerfield began the process of 'rationalising' its network of stores, a move which involved the selling off of the Middlewich store.. 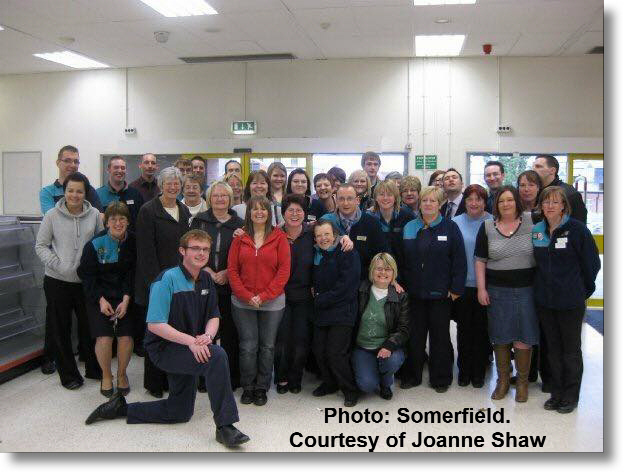 The very last day of Somerfield, Middlewich, in March 2009. 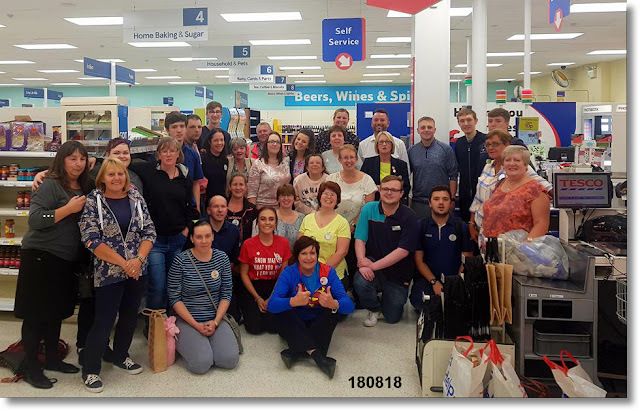 A comparison with the photo (below) of the Tesco staff on August 18th nine years later shows that many Somerfield staff moved over to the new store. 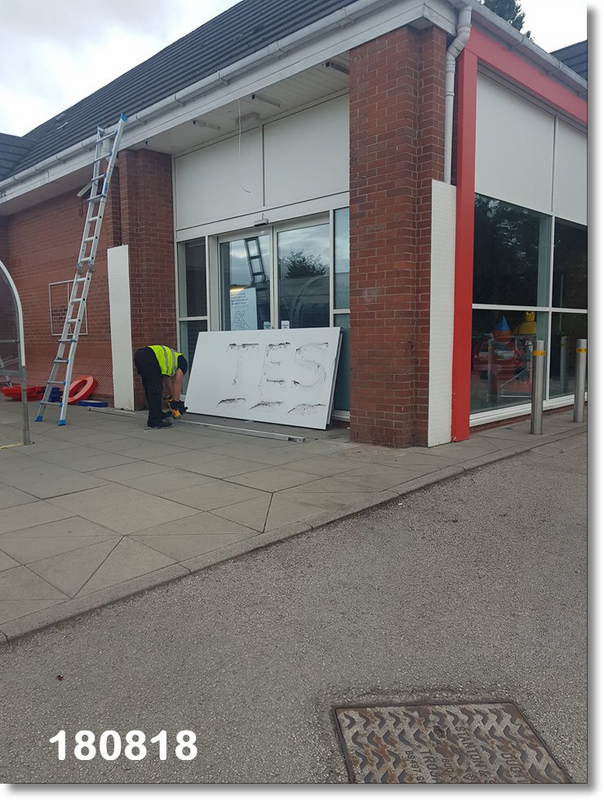 In fact the refurbishment of the store and its re-opening as Tesco Middlewich was completed in a comparatively short time. 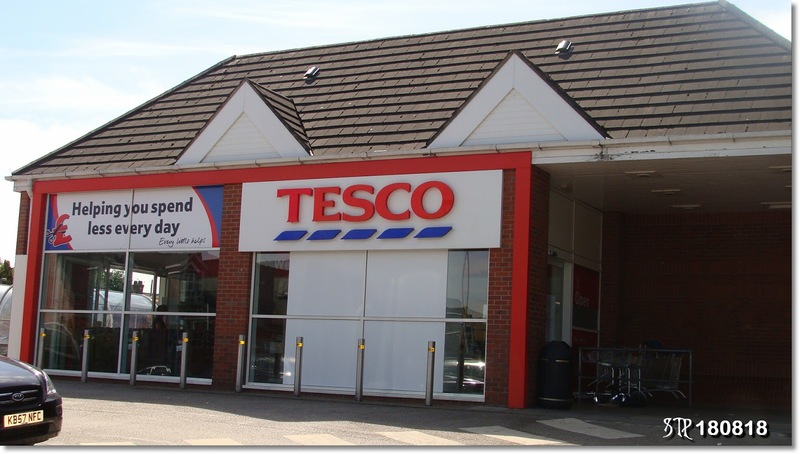 Some of the existing equipment, such as freezers and fixtures and fittings, were re-used by Tesco. 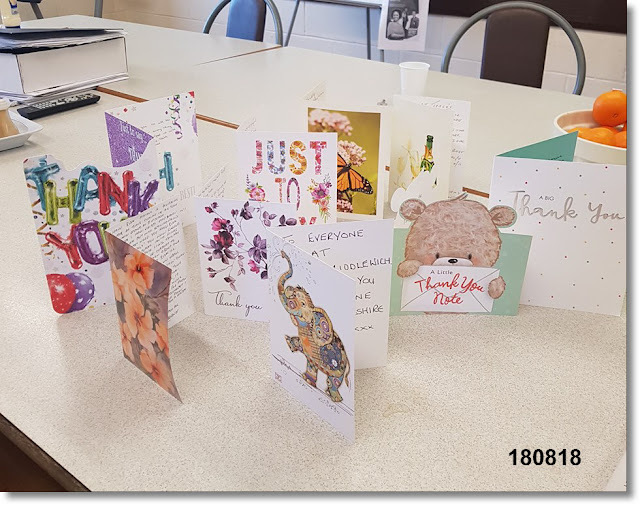 (Photo added 23rd Oct 2018). 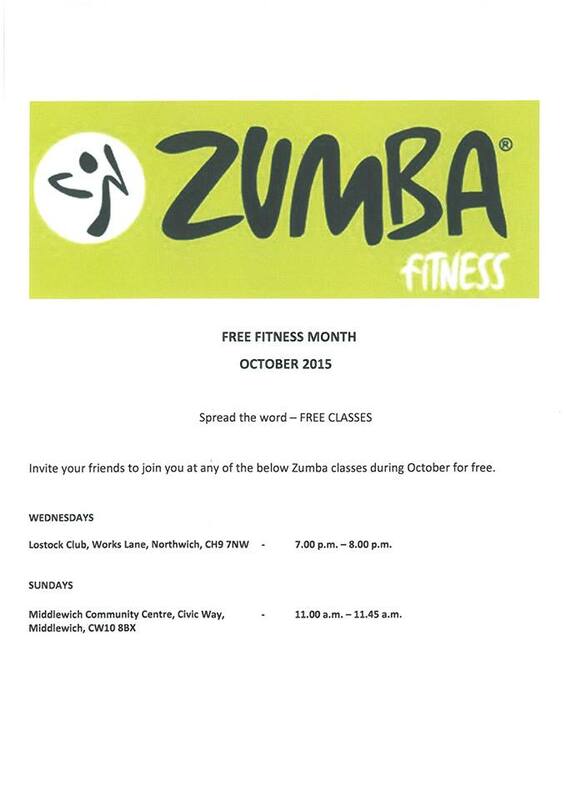 Many thanks to Joanne Shaw, Glenis Ollier, Janette Clutton and Paul Greenwood for information on this photo. The Somerfield stores were sold off to the Co-op and for a time it looked like that organisation might at last achieve its ambition of opening a real supermarket in the town. Jacob Cohen, the founder of Tesco, changed his name to Jack after encountering anti-Semitism during the first world war. He started in business in 1919 selling ex-NAAFI goods from a barrow. Very soon he had stalls in markets all over the East End of London, and a horse and cart to keep them all supplied with goods. In 1924 he began buying tea from the appropriately named T. E. Stockwell. The tea had to be given a brand name and one was created from Stockwell's initials and the first two letters of Jack's surname: T.E.S. CO. Soon Jack's enterprises became first covered market stalls, then shops, and then the very earliest supermarkets with the name Priceright. In 1931 Jack consolidated his businesses and started to compete with the Co-op, Sainsbury's and other established grocery names, using his TESCO brand as the name for the stores. It was at this time that Tesco's famous motto 'Pile It High, Sell It Cheap' was coined. 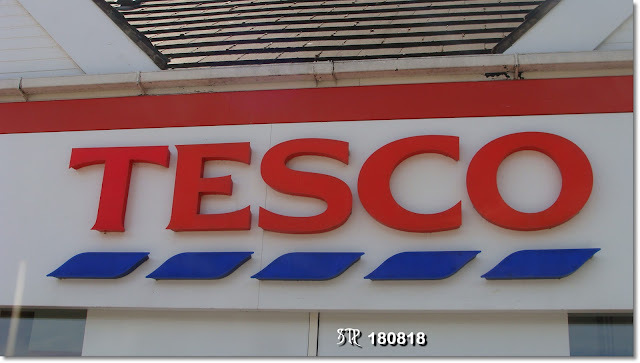 By 1935 Tesco was a major contender in the grocery trade and by 1951 the 'Tesco' chain of supermarkets had started to appear. - Information adapted from: 'How It All Began Up the High Street', by Maurice Baren. A fuller version of the founding of Tesco can be found in the book. 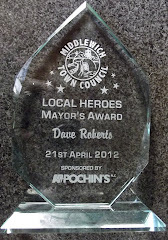 It's fair to say that Middlewich took its new supermarket to its heart. It wasn't the biggest of supermarkets, and it wasn't the best situated. But the staff was friendly and welcoming and you could buy almost anything you wanted there. It also had the advantage of sharing the town's only decent car-park with first Congleton Borough and then Cheshire East Councils. And the nearby Fountain Fields park was soon dubbed 'Tesco Park' by a new generation. 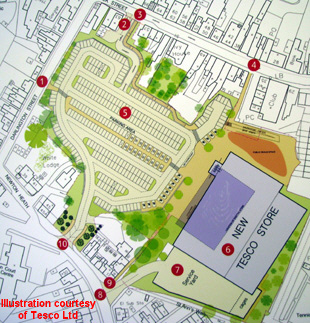 In 2012, Tesco announced plans for a massive expansion of the Middlewich store and bought up a large area of land between the existing store, Southway, and Darlington Street. 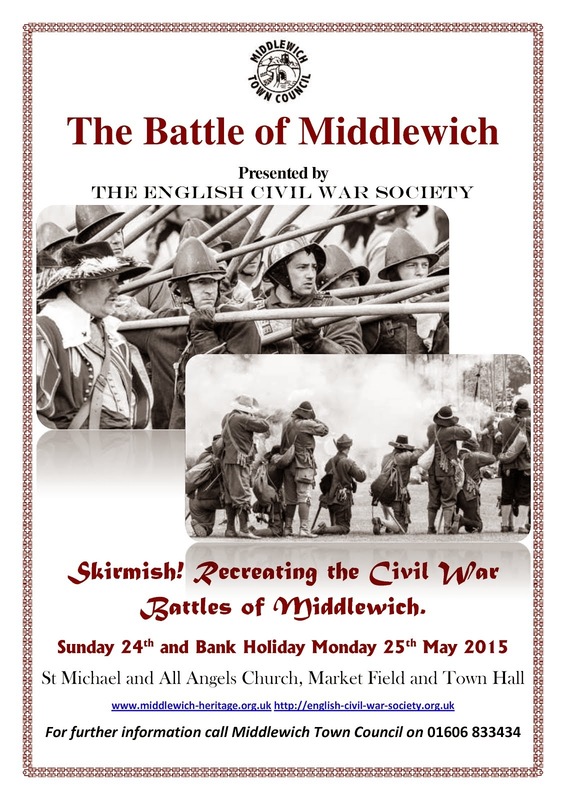 This plan would, for better or worse, have revolutionised shopping in Middlewich. Only a year later the plans were abandoned. 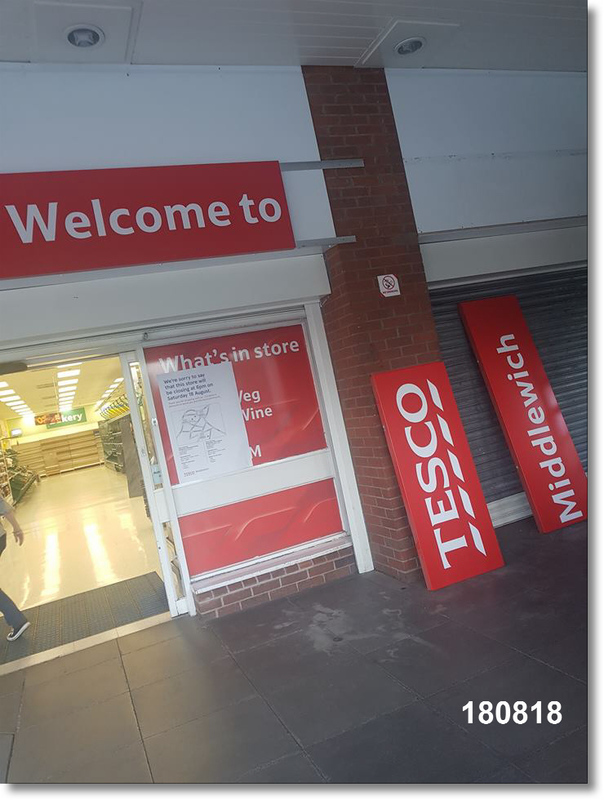 And things settled back into the usual routine, Tesco Middlewich carried on as it had since 2009, but this time with a simmering background of resentment locally as the property bought up by Tesco fell into rack and ruin. 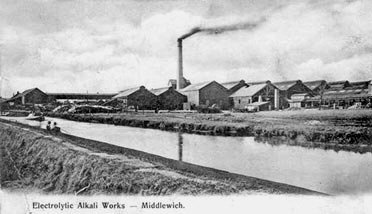 The resentment was aimed at the far away 'head office' of the company, never at the hard-working Middlewich staff. One loss in particular was keenly felt by some locals, partly because of its history and picturesque appearance, and partly because it could be seen, gradually falling apart at the seams, right next to the entrance to Tesco. Barclay House in Southway. Built, as its name suggests, as a residence for the manager of Barclay's Bank in nearby Wheelock Street. Now the bank itself has closed, though the building which housed it survives. What will become of Barclay House? 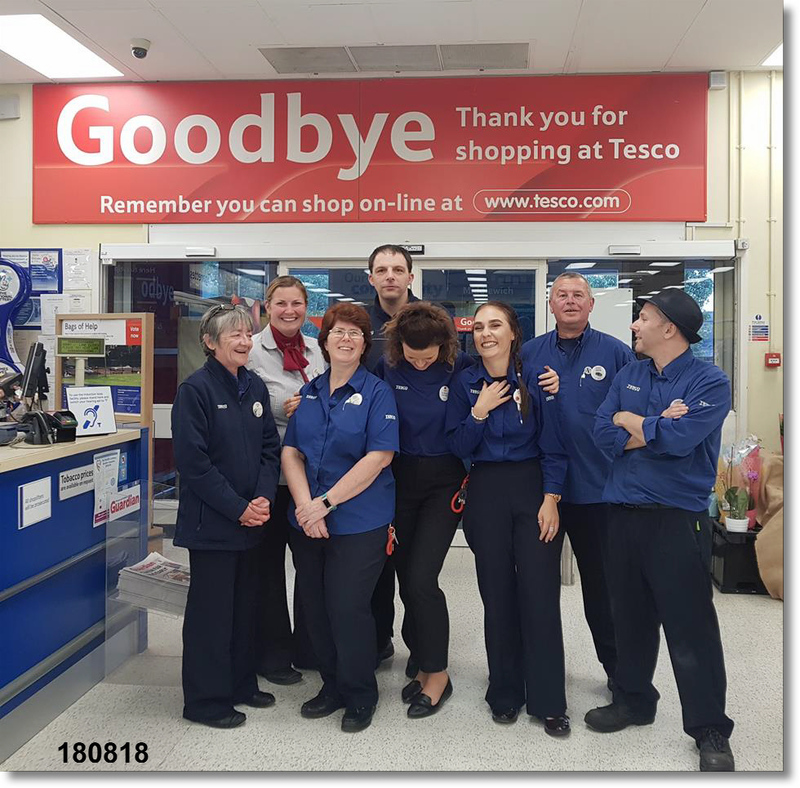 And then, seemingly out of the blue, at the end of July 2018, Tesco announced that its main Middlewich store would be closing. The news came as a total shock, to both staff and customers. The store seemed to be thriving and holding its own against local competitors. What were Tesco playing at? Initial reports as to what might replace the store were a little confused. Some members of staff were under the impression that the building might be used for a 'hardware store'. It has to be borne in mind that at this time Tesco were keeping their plans for a new chain of discount supermarkets called 'Jack's' (after the founder of the firm) very much under wraps, but several members of staff said they had been invited to apply for jobs at a new Middlewich store to replace Tesco. 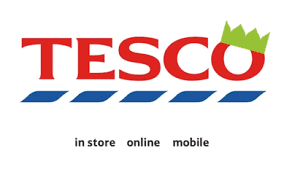 The date for the closure of 'Big Tesco' was eventually announced as the 18th August. The notice announcing the date of the closure and reminding people of the existence of Middlewich's two Tesco Express stores. 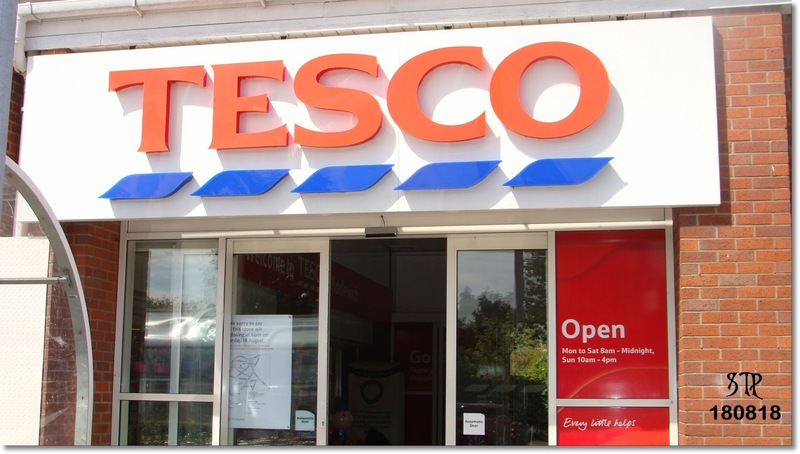 Immediately after the closure of the main Tesco store, the Tesco Express in Wheelock Street amended its opening hours to 6am - 11pm in line with the Warmingham Lane store. On the day of the closure we took a last look at 'Big Tesco'. The sign on Queen Street/King Edward Street at the entrance to the access road to the car park and supermarket. This area was originally part of the Fountain Fields recreation ground - the putting green to be precise - and is also, as Harry Random has pointed out, close to the probable site of one of the water pumps which gave Fountain Fields its name. The 'Pagoda' at the top of Southway and the steps giving pedestrian access to the supermarket from Wheelock Street. 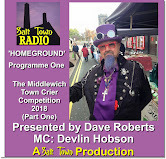 In 2015 this location was used as the venue for a National Town Crier competition organised by Devlin Hobson, Middlewich's own Crier. Highlights were broadcast by Granada TV on 'Granada Reports'. Look carefully and you may spot Mr Roberts looking bemused and obviously wondering what he was doing there. I was one of the judges, actually. The 'tradesmen's entrance' to the store at the top end of Southway where deliveries were made via the nearby St Ann's Road. All the Tesco signs, inside and out, including this one, were removed on the day the store closed. Strolling across the car park, we came upon this sign marking the exit onto St Ann's Road. 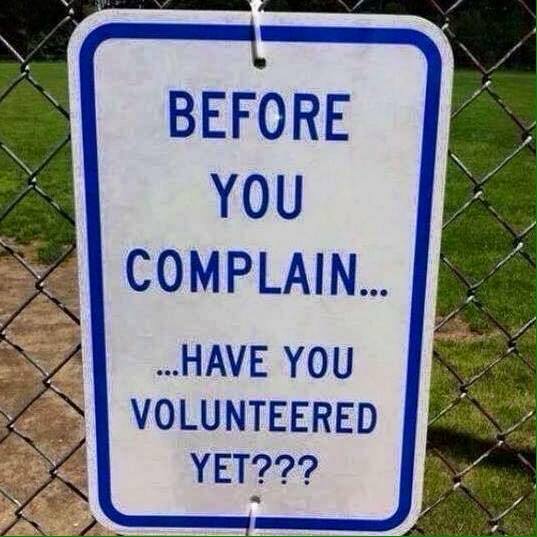 A sign seen every day by one and all but, on this particular day, seeming rather poignant. 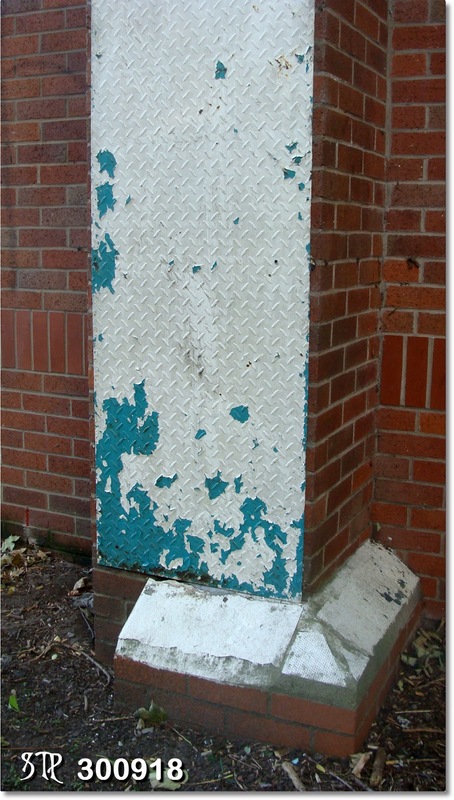 On the side of the store, on Southway, peeling paint on this sheet metal protecting a drainpipe, is the very last tiny reminder of the days when the supermarket belonged to Gateway and Somerfield. 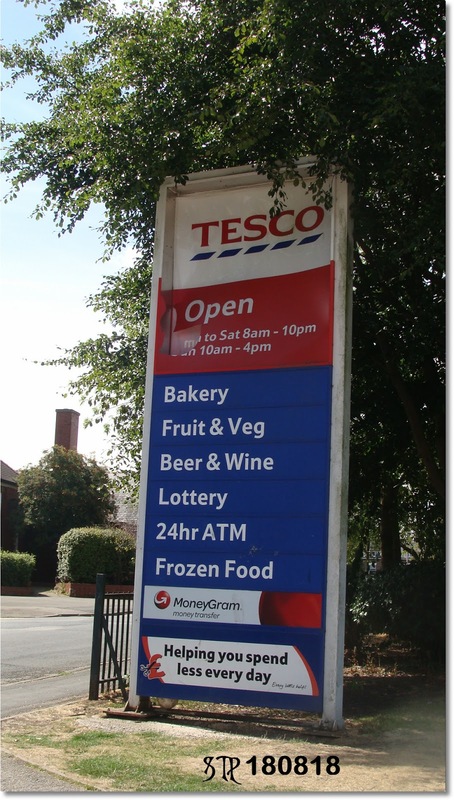 This sign, along with a similar one on the front of the building was always left on all night and could be seen shining through the trees on Fountain Fields as a reminder that Tesco was still there. Like all the others, it was swiftly removed on the day of closure. Such a familiar sight. It's hard to realise that it's now disappeared. Just around the corner; the front elevation of the supermarket building. Are we imagining this, or did this sign wear the official Tesco party hat in the festive season? A sense of place. 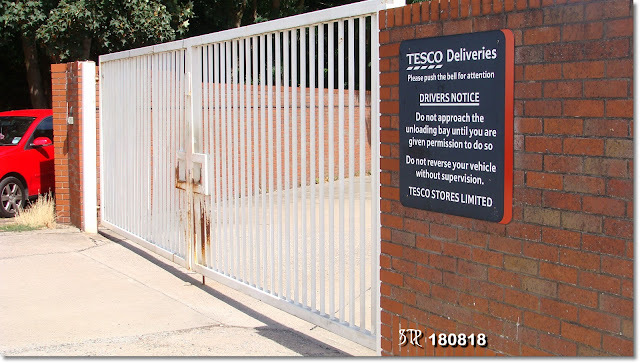 Tesco left shoppers in no doubt as to just where their store was situated. 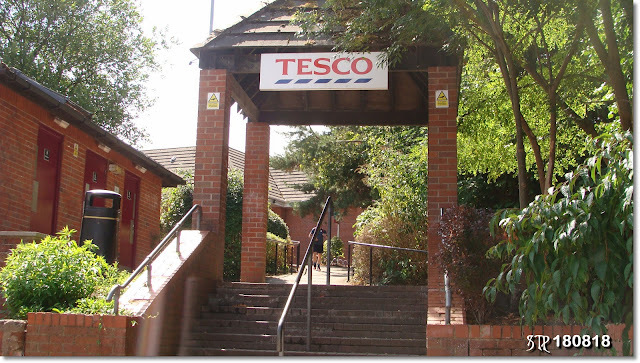 It was little touches like this that helped make 'Big Tesco' part of the community. Stepping inside the store, we see this achingly familiar sight now, sadly, confined to history. The fruit and veg. 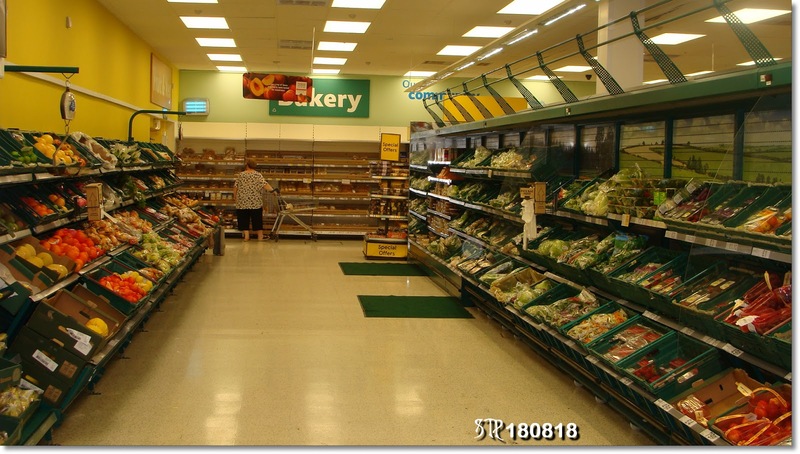 aisles, with the bakery in the distance. 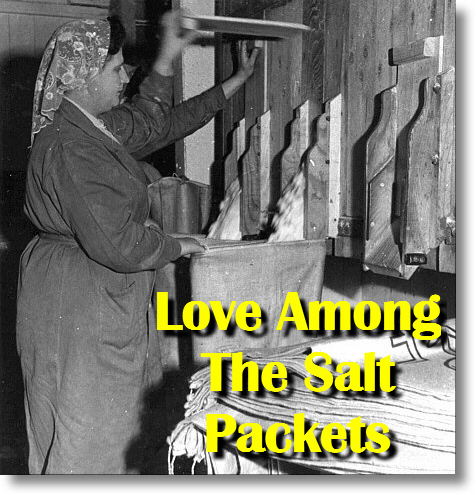 Bread, groceries and frozen foods. 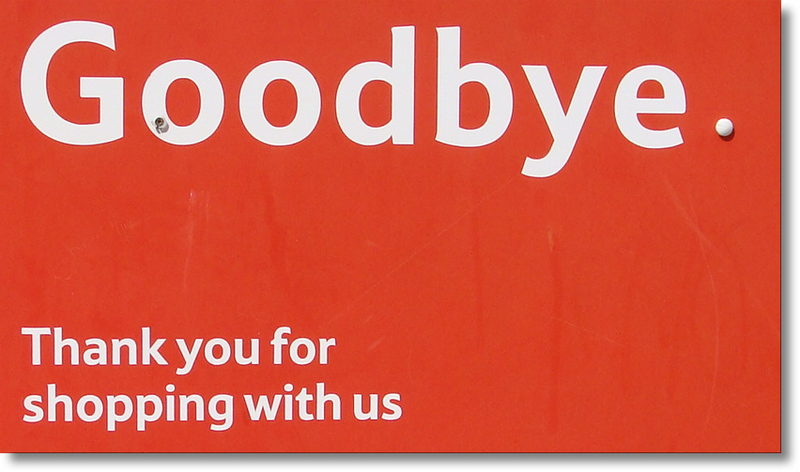 all part of 'Big Tesco', and now all gone. Two familiar Tesco faces. The lady on the left is Christine Barker, who provides a link all the way back to the Gateway Middlewich supermarket, where she started working in 1987, the year it opened. 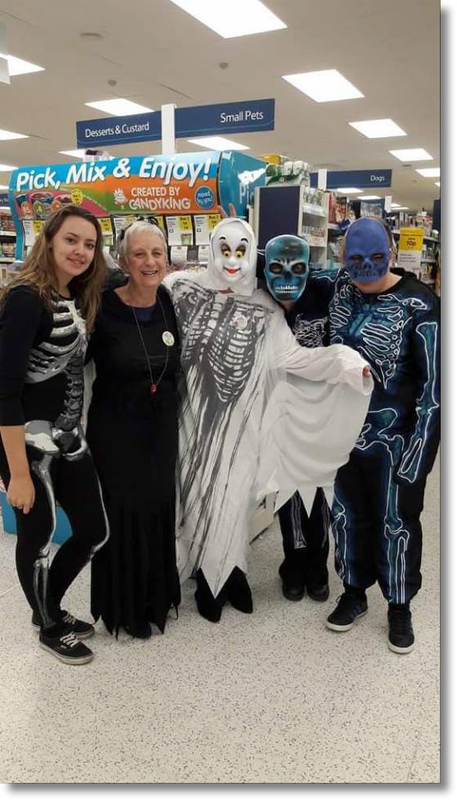 She stayed all through the Gateway, Somerfield and Tesco eras, a total of over 30 years. In fact it would have been 31 this November. Now, with the closure of Tesco, she's opted for a well-earned retirement. With her is another familiar face, Sheila Williams. This was Anne Dixon, she worked on Fresh and was very often our Store Greeter. 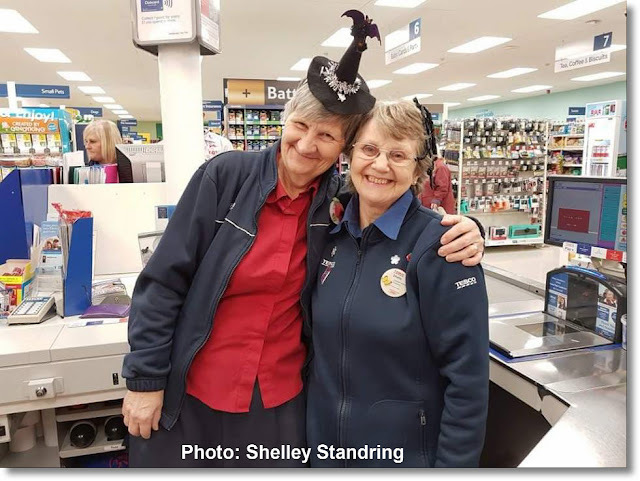 She was a real character and we missed her lots when she retired and moved to Chorley in 2017. She's pictured with our store manager at the time Jonathon Sayward. 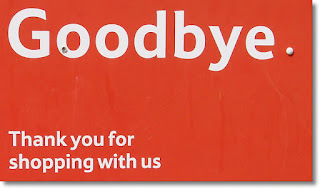 Like the 'Goodbye' sign on the edge of the car park the signs over the exit doors took on a new significance on the 18th August. Staff took the opportunity of posing for commemorative photos saying Goodbye. If this is your photo and you'd like us to acknowledge the fact, please let us know. The same goes for all the other photos marked 'photo supplied'. (L to R) Front - Rosie Bickerton, Val Edgerton, Jayne Ellis, Katie Evans, Andrew Burgess. Back: Jo Schofield, Adrian Moss, Chris Everall. Much the same photo, with the same people in different positions! 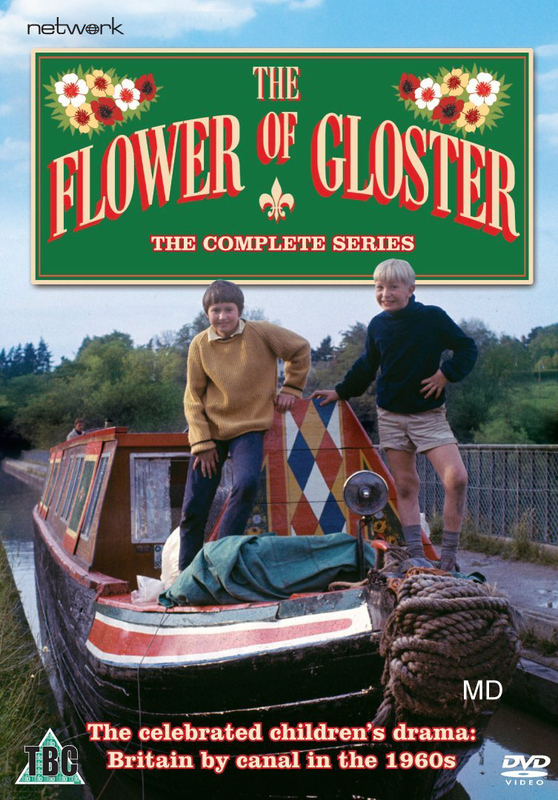 Rosie Bickerton, Michael Sproston, Karen Fitzgerald.Michael worked on Grocery. 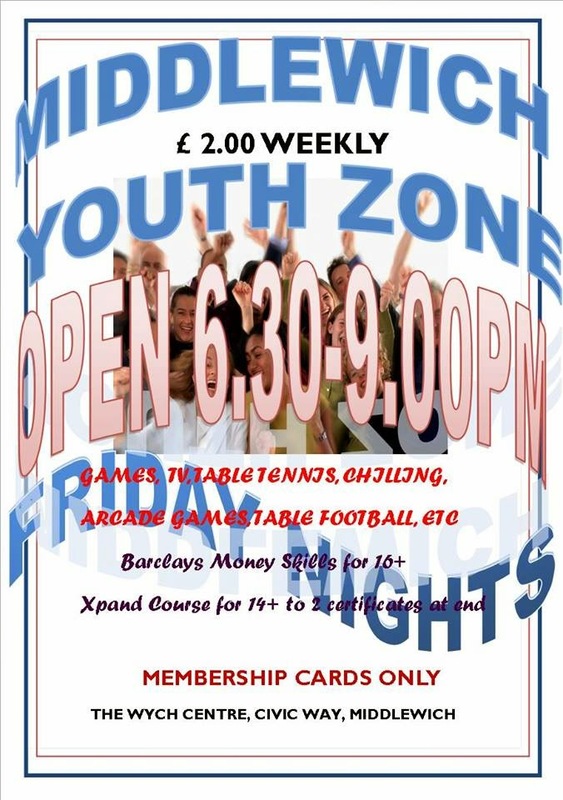 Information supplied by Shelley Standring. 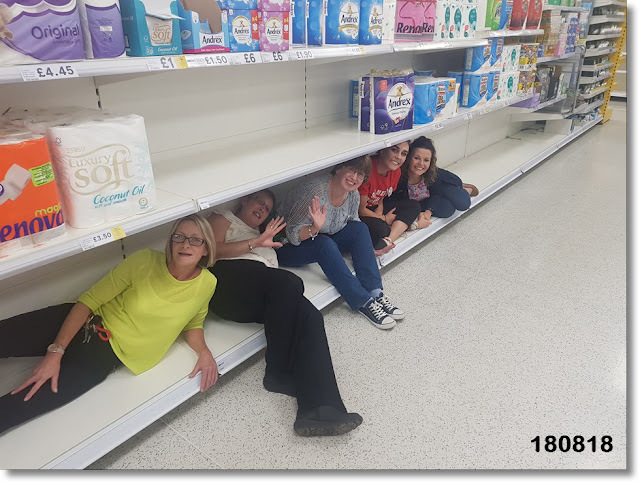 Tesco staff clearly not wanting to be left on the shelf. 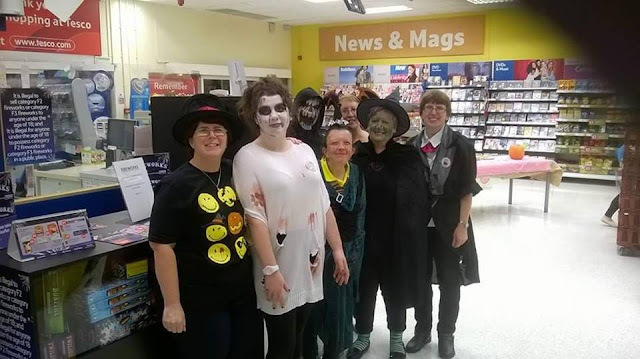 (L to R) Jeanette Daynes, Shelly Standring, Karen Fitzgerald, Katie Evans, Rosie Bickerton. 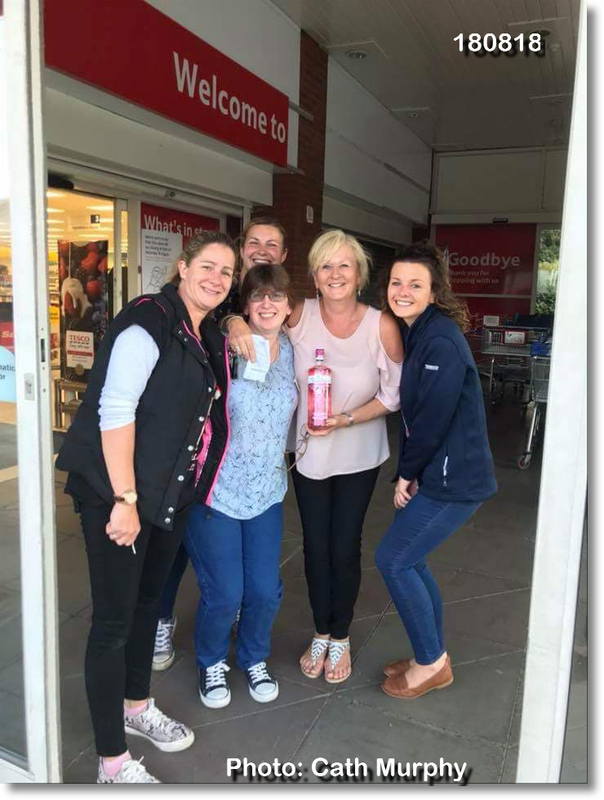 Of course someone had to be the last customer on the 18th August, and that honour fell to Cath Murphy, who bought a bottle of pink gin. Note that even as this celebratory photo was being taken the store was being stripped of its identity. (Photo used with permission). 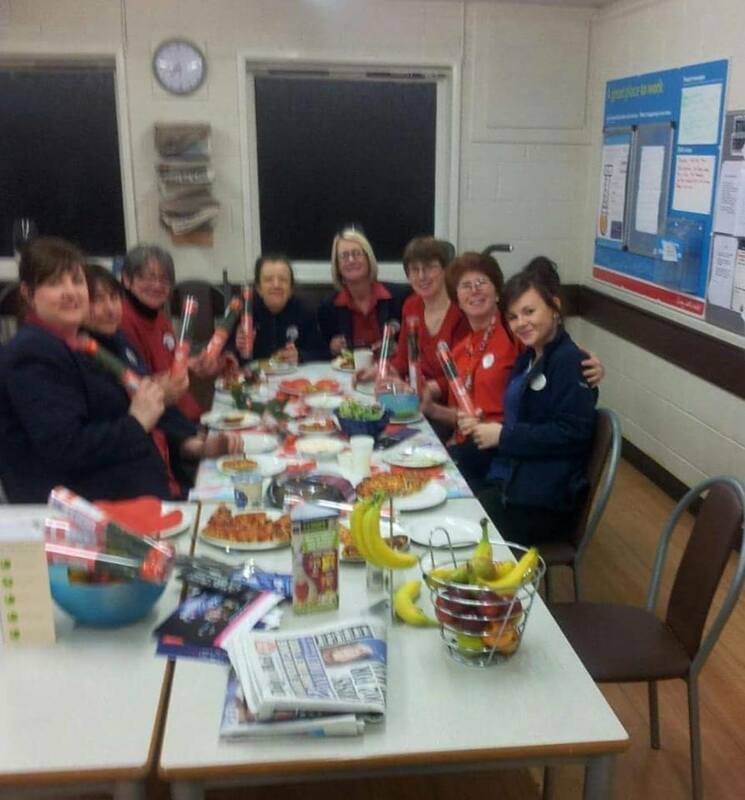 With Cath (and her bottle) are (L to R) Abby Allan, Karen Fitzgerald, Rosie Bickerton and (back) Jo Schofield. And so at 6pm on the 18th August 2018, the era of 'Big Tesco' came to an end and staff gathered together for one last 'team photo' (Photo supplied, no 7). 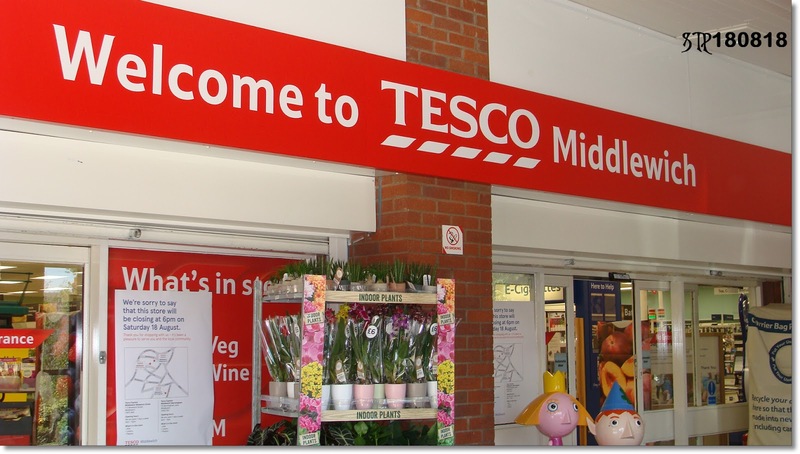 The people of Middlewich were upset, to say the least, at the loss of the main Tesco store in the town. They'd come to rely on the friendly and efficient service of the staff. Despite the constant moaning of a certain section of the community. Middlewich certainly isn't badly off when it comes to supermarkets. 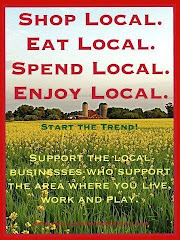 How many towns of this size can boast three medium sized supermarkets within walking distance of each other? 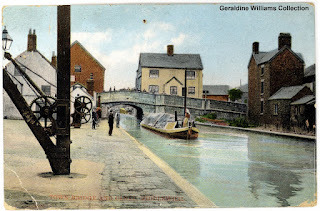 Admittedly Wheelock Street - Middlewich's 'High Street' - has seen many changes in recent years as the advent of the internet sees the changeover from a retail to a service economy in such areas. The same can be said, of course, of High Streets throughout the land and this town is by no means unique in seeing former retail shops becoming hairdressers, fast food restaurants, building societies and estate-agents. So everyone was puzzled when what seemed to be a thriving supermarket disappeared from the scene almost overnight. Of course, as we've said before, Tesco's plans for a chain of 'Jack's' supermarkets was still very much under wraps at that time. Once the closure had been announced the people of Middlewich began to drop off thank you cards and letters in appreciation of the staff at 'Big Tesco'. Tesco's 'Bags of Help' scheme was very popular in Middlewich. Customers were given blue plastic tokens every time they shopped at the store and dropped them through a slot into the box of their choice. 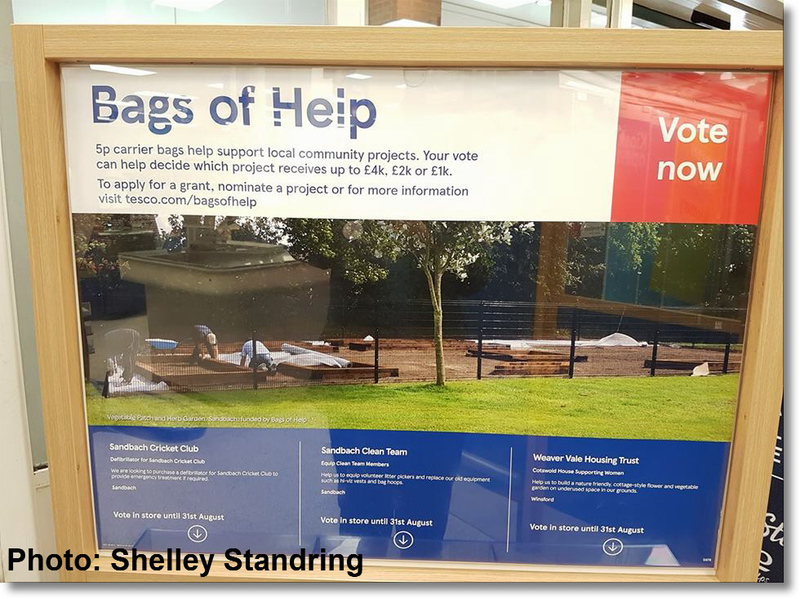 Tesco then made grants to the most popular applicants. 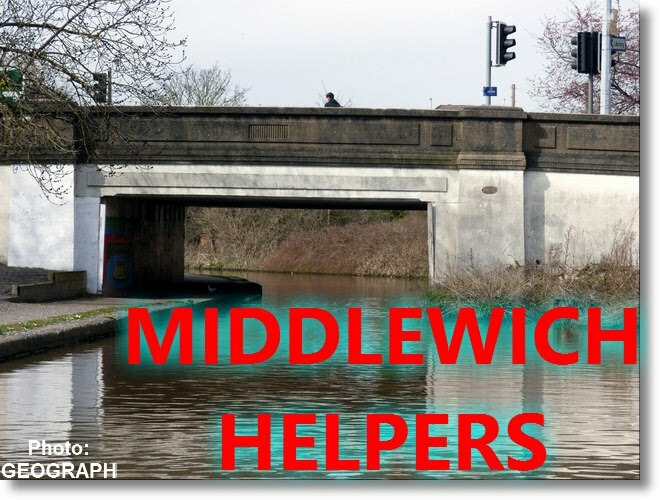 Middlewich people were sometimes inclined to get a bit uppity when the organisations they were 'voting' on seemed to have no connection with the town. They would, wouldn't they? No doubt exactly the same thing happened in other towns. 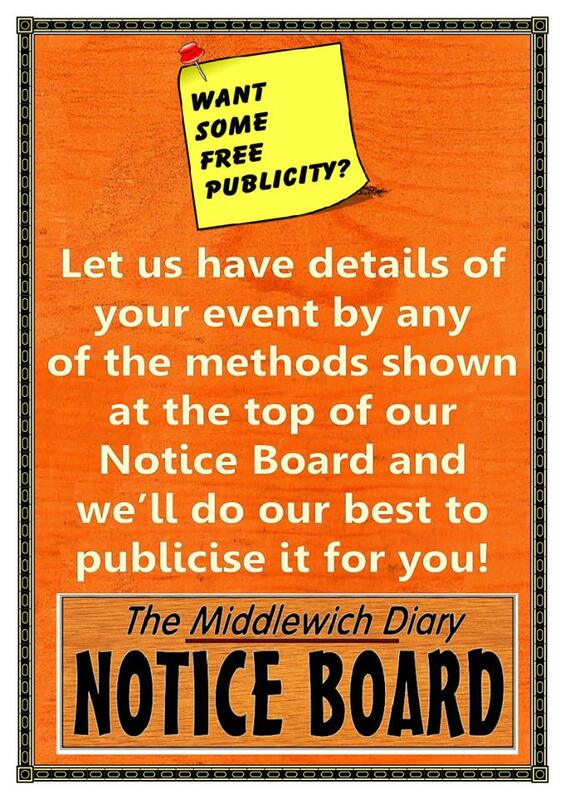 But, as the organisers were continually at pains to point out, there were times when no Middlewich organisations applied for the grants, despite high profile publicity inviting them to do so. The photo shows the choices available in August 2017. 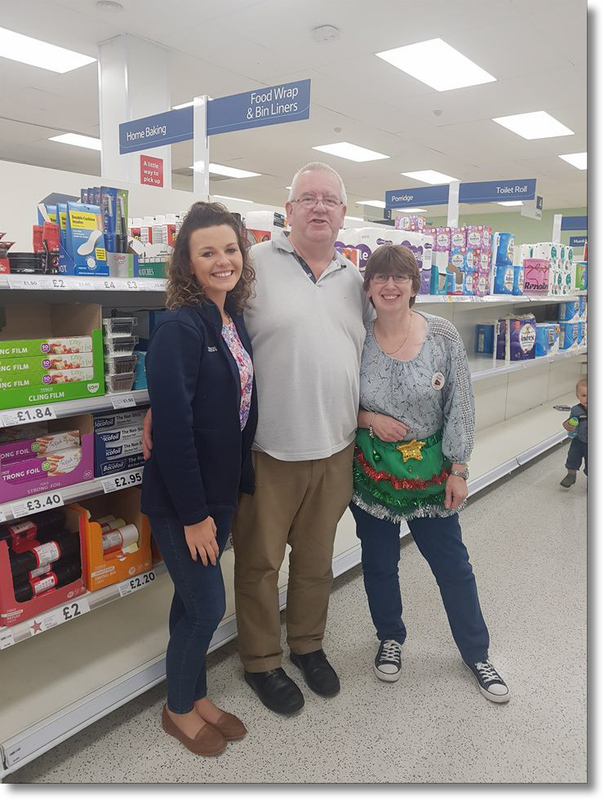 The money for the grants was raised through the sale of 5p carrier bags in store. 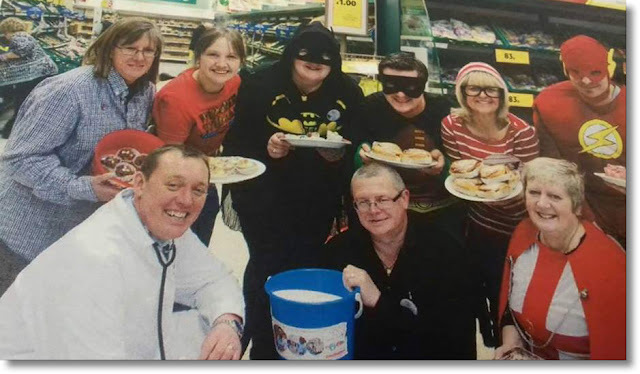 The remaining photos in this Middlewich Diary entry show Tesco Middlewich staff socialising and supporting various charity events in Middlewich and further afield. 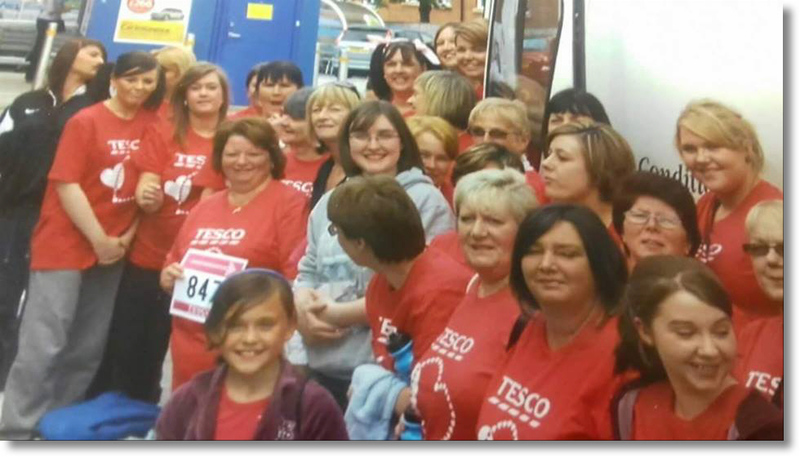 We're including them in order to put together as complete a record as we can of 'Big Tesco' and its staff for posterity. Along with several of the photos above they were passed on to us by Rosie Bickerton. We'd love to have more information on these photos, to put names to faces, and to credit the photographers where possible. If you can help, please get in touch, quoting the 'photo supplied' number. 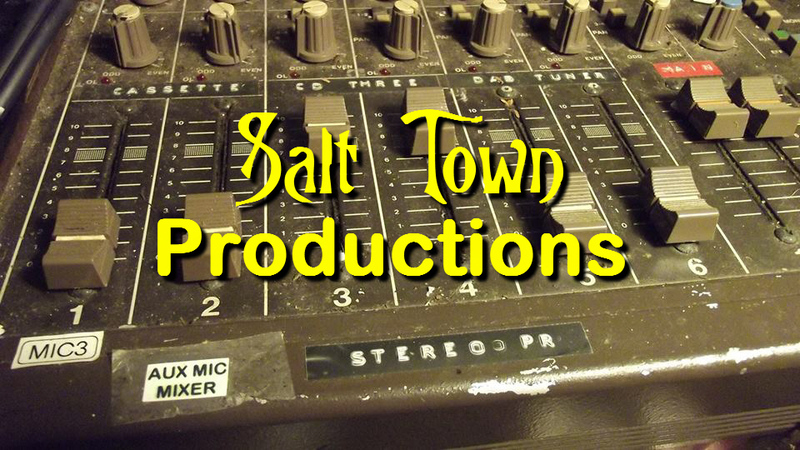 Our contact details can be found at the top of the right hand column. (L to R) Back: Andy Bennion, Chris Everall, Trevor Robinson. Front: Hannah Fraser, Janette Clutton, Pam Devine. 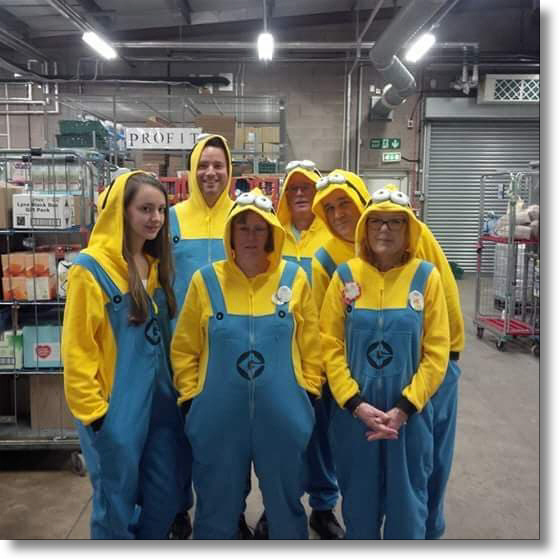 Tesco staff fundraising for a good cause. The lady in the blue check shirt is Janette Clutton, and Chris Everall is holding the bucket. Community 'Champion' Lesley Birchall is bottom right. But who are the others, and what cause were they collecting for? If you can help, please get in touch. The staff of 'Big Tesco' were always keen to dress up for special occasions, such as Christmas, Easter, even the World Cup! Obviously this time they're celebrating Halloween. Front: Jayne Ellis, Shannon McClelland, Helen Marshall, Lesley Birchall, Karen Fitzgerald. Back: Janette Clutton (behind the mask) and Shelley Standring. Hayley Mbarki, Chelsea Dykes. 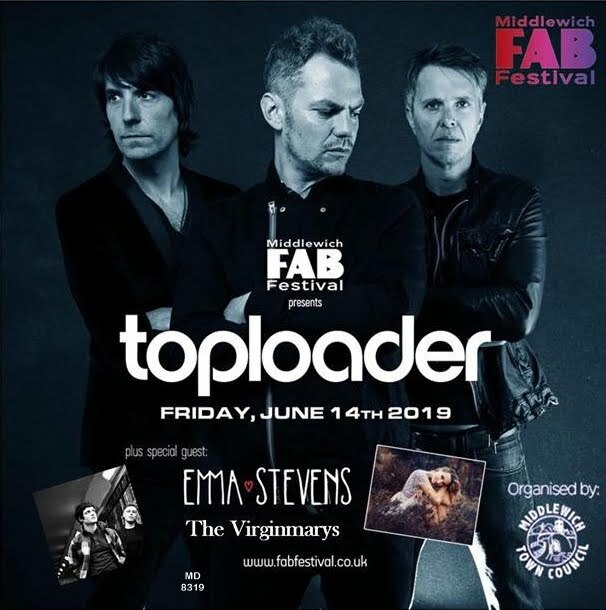 (Photo supplied, no 13). This looks like the same occasion. 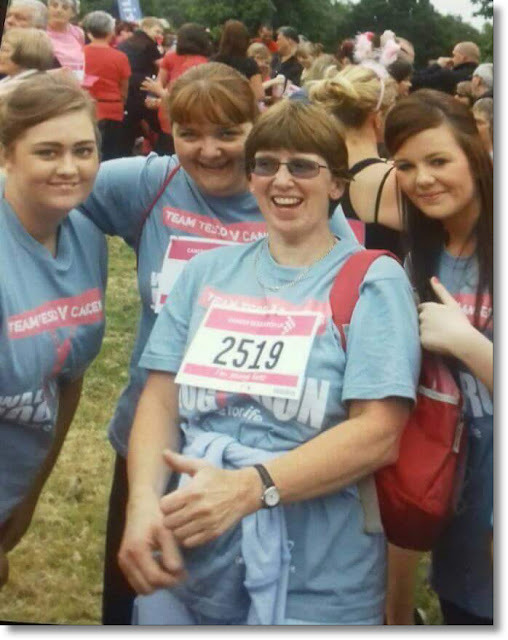 (L to R) Jo Latham, Angela Breland, Karen Fitzgerald, Rosie Bickerton. Come in number 847, your time's up! Obviously a photo from the same occasion, as no 847 and quite a few of the others are on both photos. Who are they supporting, with the help of Nivea? 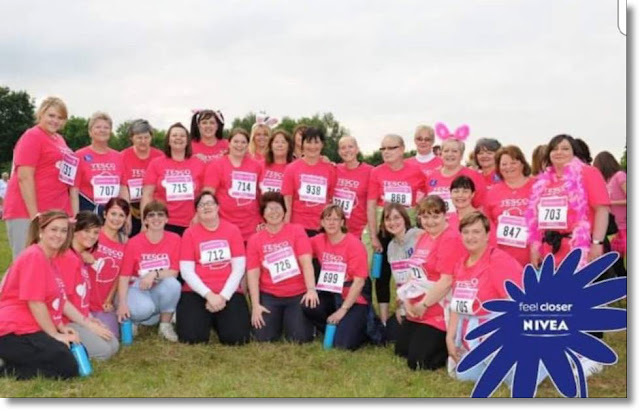 To us, it looks like the Race For life once more. (L to R) Sharon ? 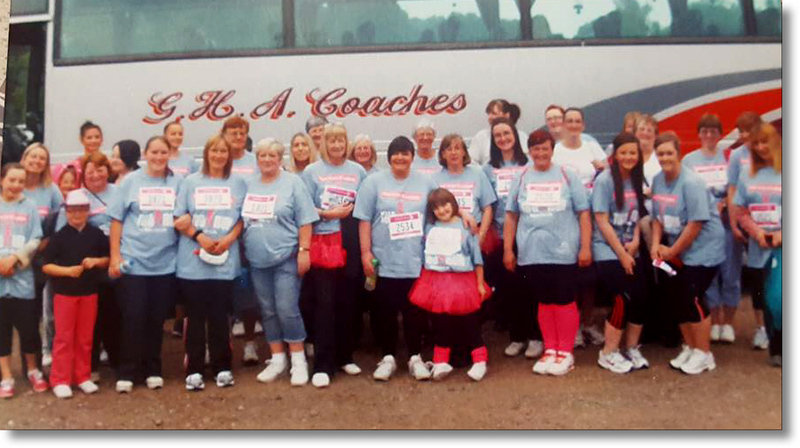 *, Dee Warren, Val Edgerton, Helen Marshall, Jeanette Daynes, Karen Fitzgerald, Jayne Ellis, Rosie Bickerton. * Can anyone supply the missing surname? 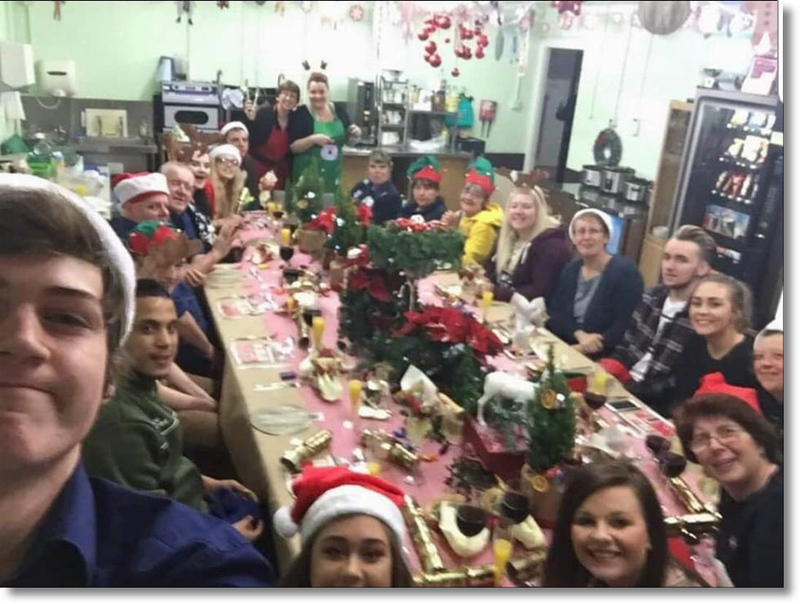 Christmas party, held in the Tesco staff canteen on the 9th December 2015. So there we are. If you can help with details of any of the 'supplied photos' or if you have additional photos and/or memories you think belong here, please contact us. Thanks to everyone who helped us put this feature together, including Rosie Bickerton and Shelley Standring. 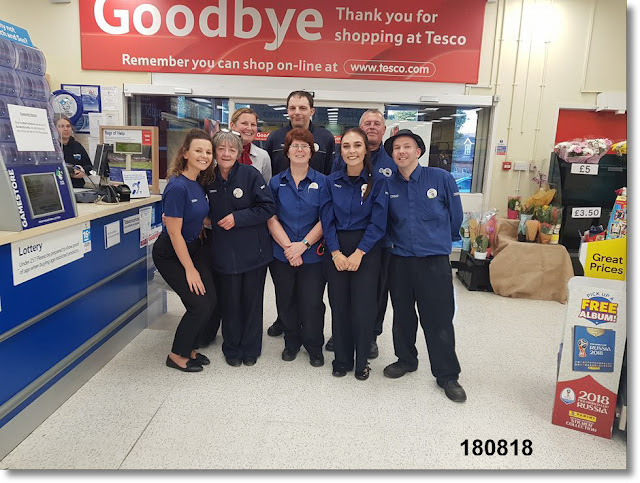 We wish the very best of luck to all the former staff and management of Tesco Middlewich and we hope this Diary entry will help ensure that nearly ten years of 'Big Tesco' won't ever be forgotten. 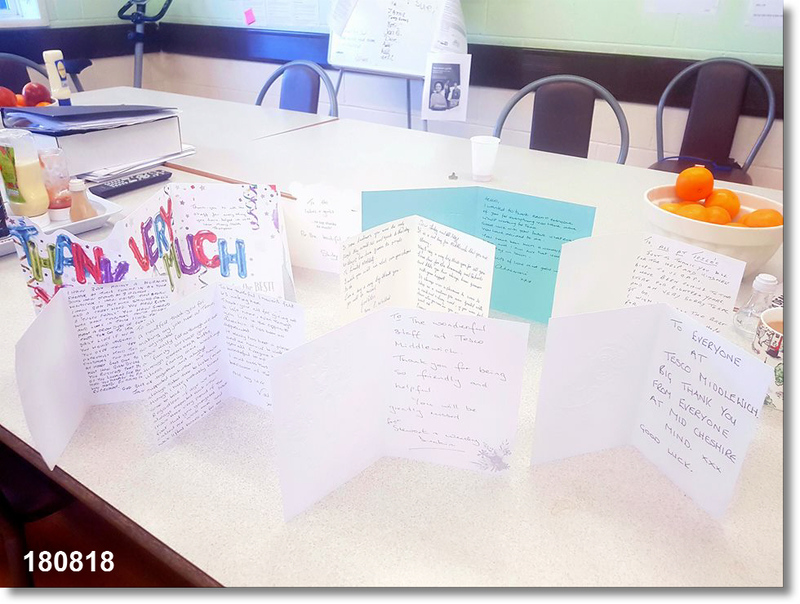 '... a few tears whilst reading this and looking at the pictures. 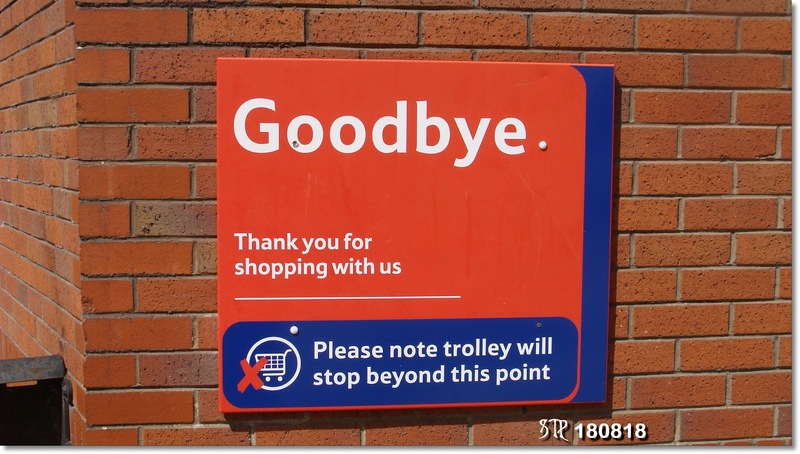 Tesco's closing has certainly left a big hole in our lives. 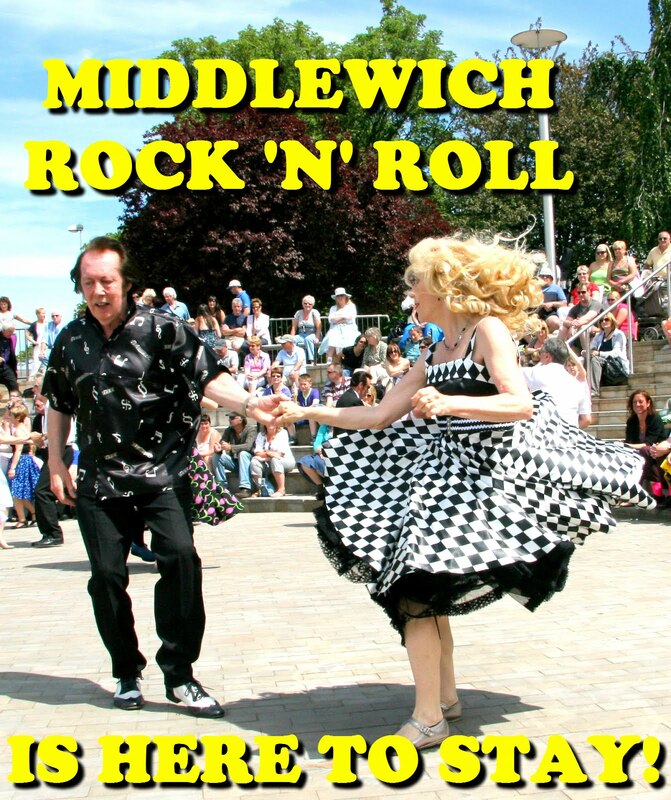 We were Team Middlewich, a family, a place where people came and knew they would see someone they knew. 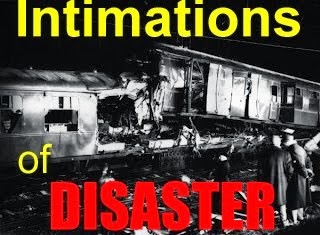 Originally published 1st October 2018. Labels: GATEWAY, GOODBYE 'BIG TESCO', SOMERFIELDS, TESCO, TESCO CAR PARK. THE END OF TESCO MIDDLEWICH., TESCO MIDDLEWICH.